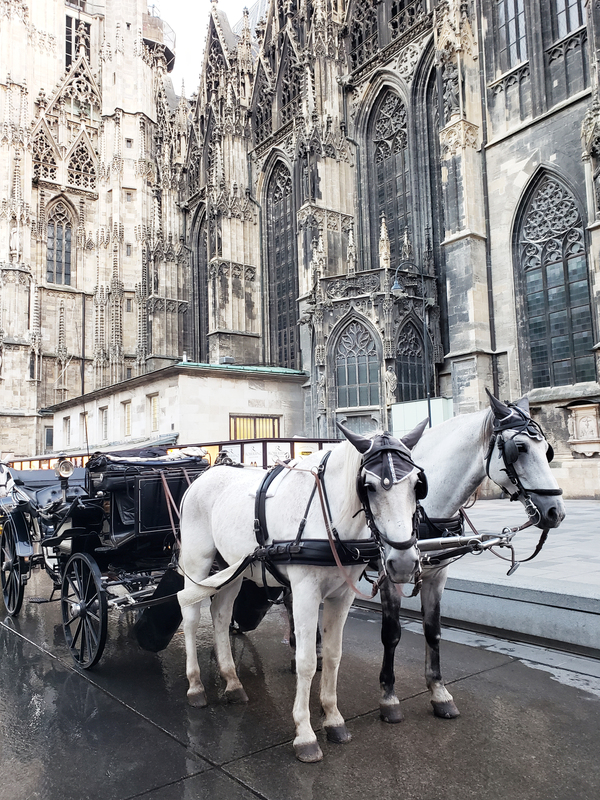 Austria is a country that has a handful of incredible cities, villages and towns to visit, but if you are on a week or two long vacation to the country, how do you decided what to see, where to go and how to get around? 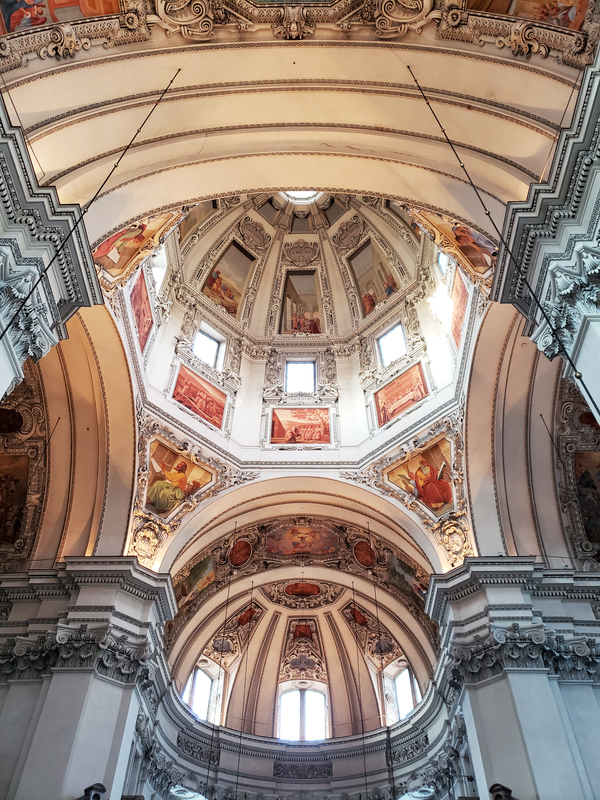 My recent visit to Austria spanned a total of nine days and took me to seven different places, all unique and beautiful in their own way. 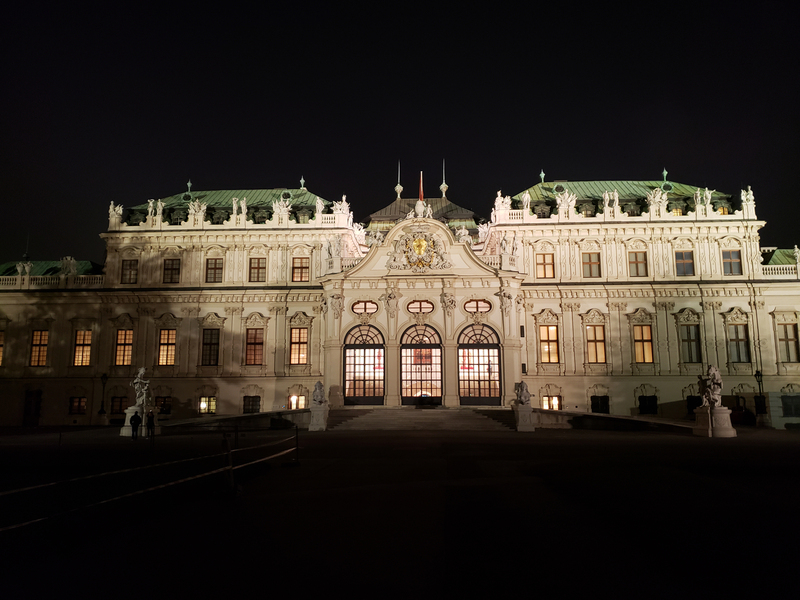 I saw imperial palaces, grand architecture, towering mountains, tiny villages, pristine lakes and I was able to get to each of these places comfortably and efficiently by Austria’s National train company OBB. As I made my way across this beautiful country, staring out the train window with jaw dropping views surrounding me, I fell deeply in love with its majestic mountains, vast green valleys dotted with sheep and cows, turquoise coloured streams that flowed beside the train tracks and not to mention those cute little villages with traditional wooden styled homes and guesthouses. 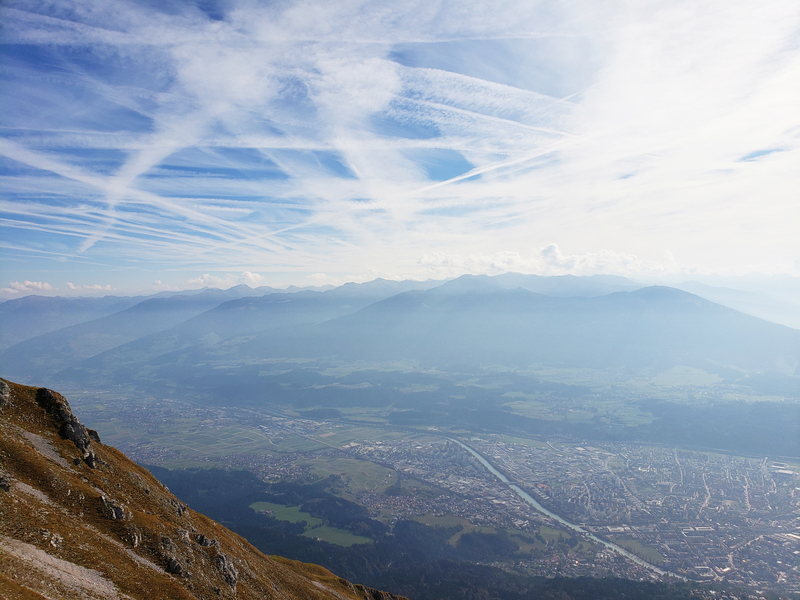 Austria is an absolute dream for nature loving outdoor enthusiasts, with skiing and hiking being its main draw-cards. 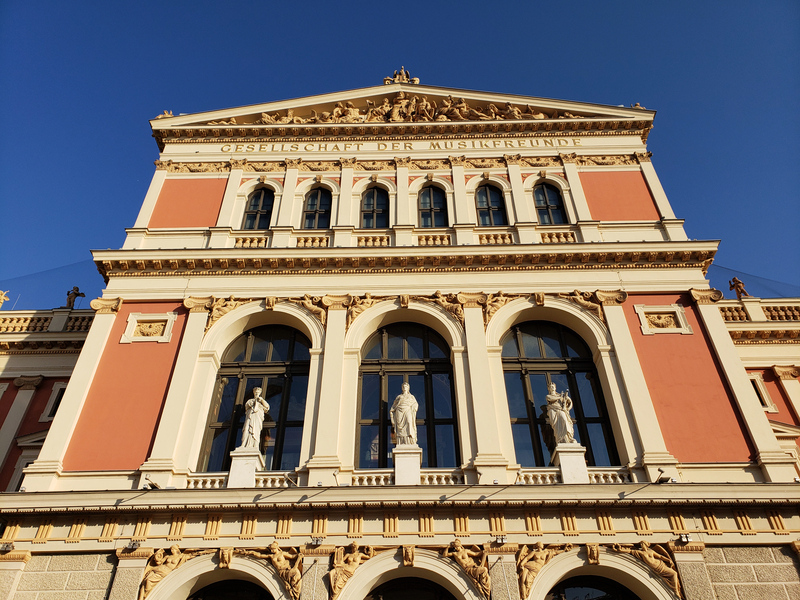 Austria also caters to high-brow culturists looking to take in classical music concerts, operas and eating in some of the finest restaurants in the world. 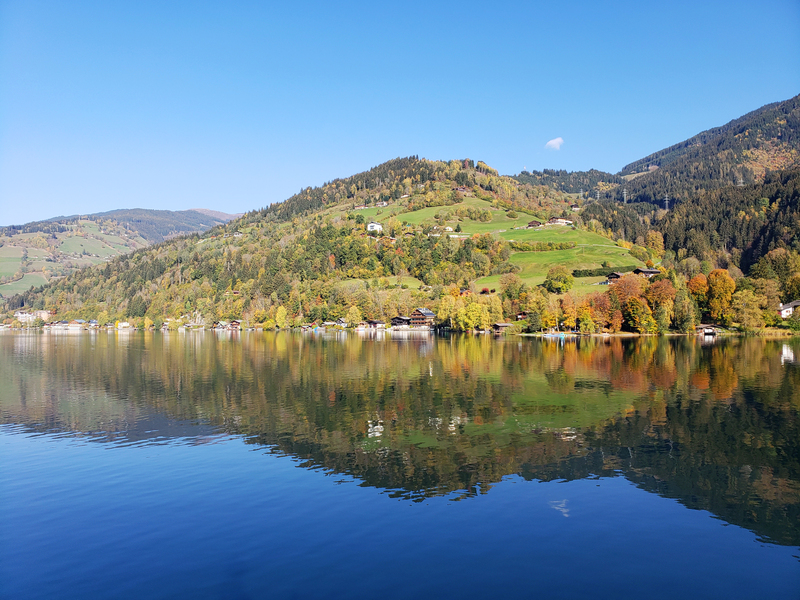 A country that seamlessly transitions from the palaces, museums and richness of Vienna to the emerald green mountains and crystal clear lakes of mountain towns such as Gmunden; there is no shortage of beautiful countryside and impressive historic attractions to delight its visitors. 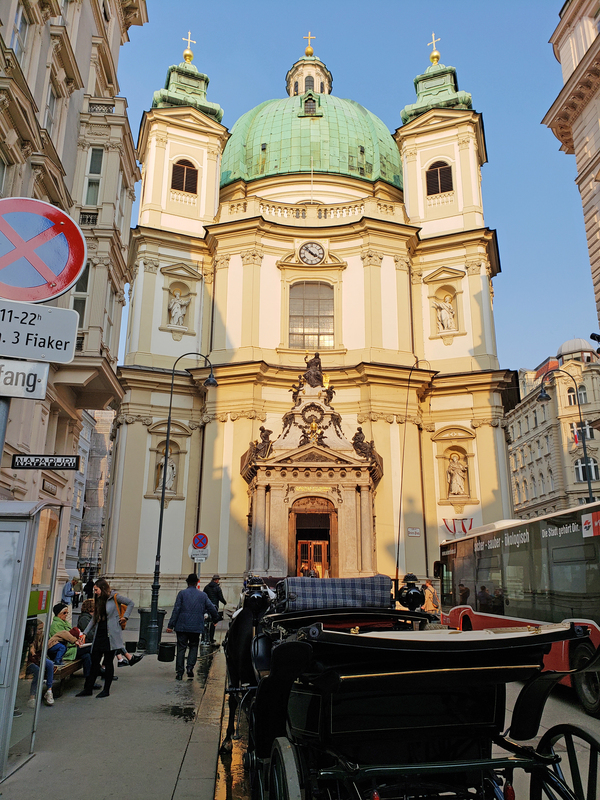 If you’re looking to visit Austria in the near future, whether it be for the first time, or the fifth time, I have thrown together the exact itinerary that I did in nine days to help you plan your trip. This was my first time visiting Austria and it definitely won’t be my last. 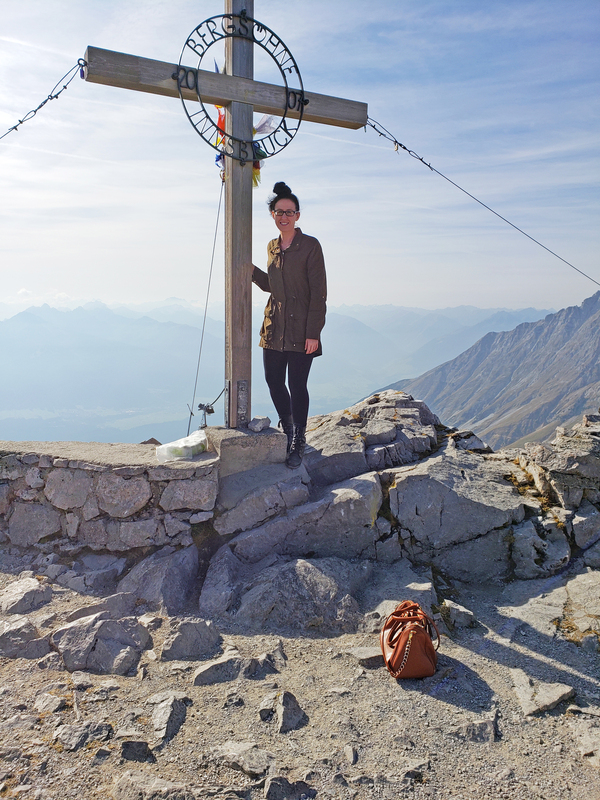 Austria struck a chord with me and ignited so much wanderlust to see more of the country the next time I visit. 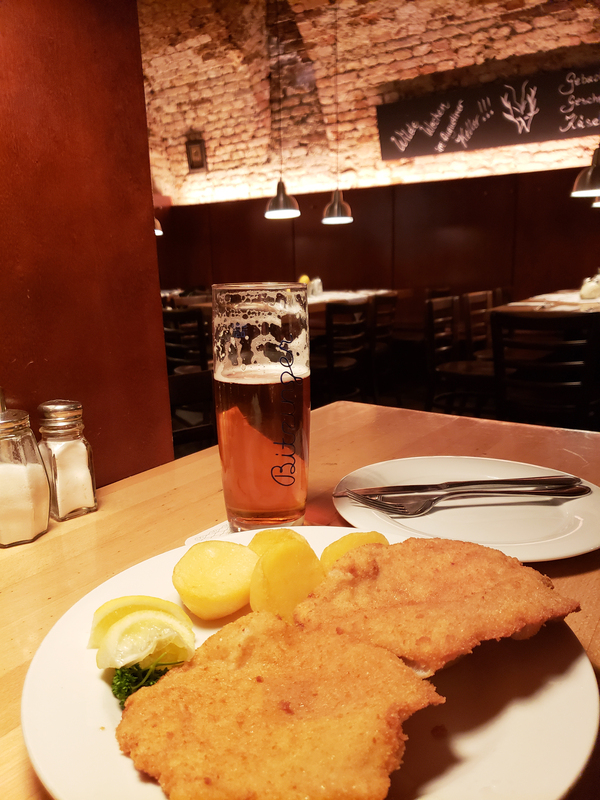 So, for those of you planning a trip to Austria, here is a nine day itinerary to follow if you want to get a taste of a little bit of everything that this amazing country has to offer. 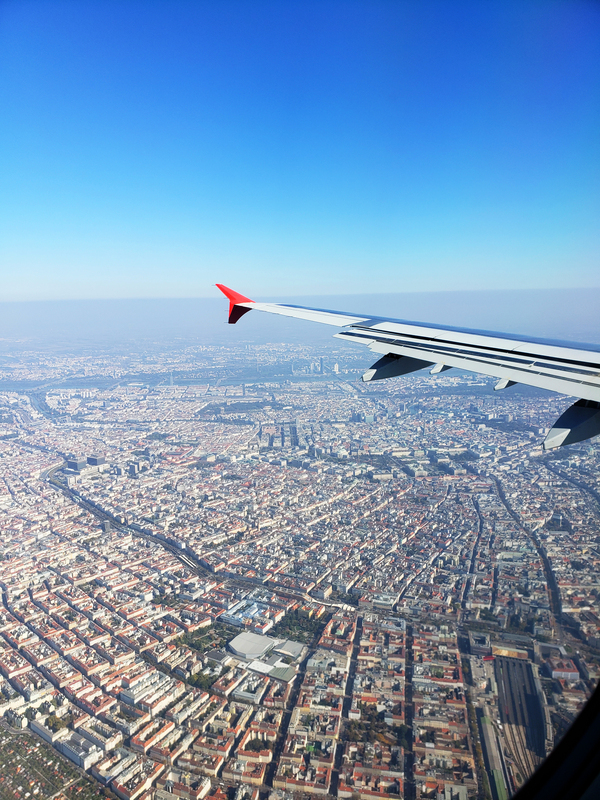 Landing in Vienna’s International Airport, you will find that getting around through baggage and customs is very smooth and easy going. Once you grab your bags from the arrivals baggage carousel, you’ll want to find out how to get into the city centre and make your way to your hotel. Vienna’s airport has a seamless train system that links you directly from the airport to the city centre in about 15 minutes. You do have some options to get to the city centre though. 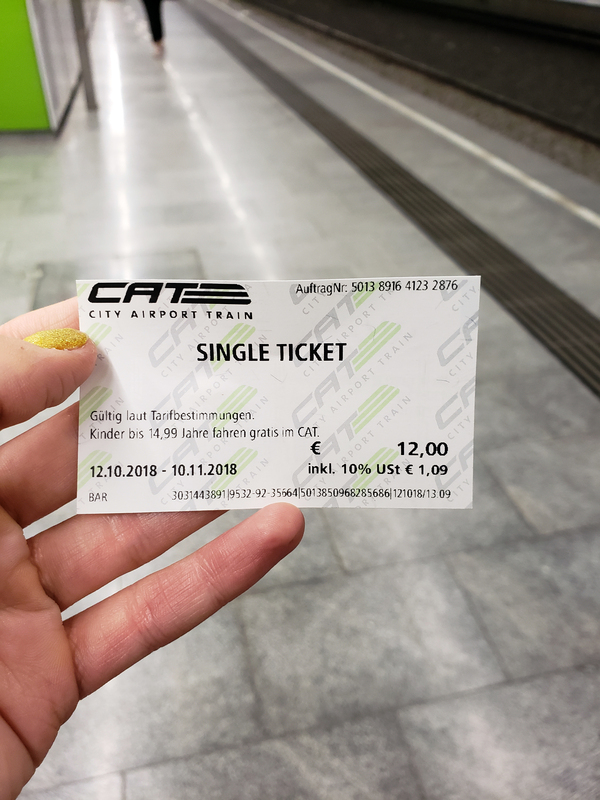 There are two types of trains that will take you to the city centre; the CAT (City Airport Train) and the Railjet, which is operated by OBB. 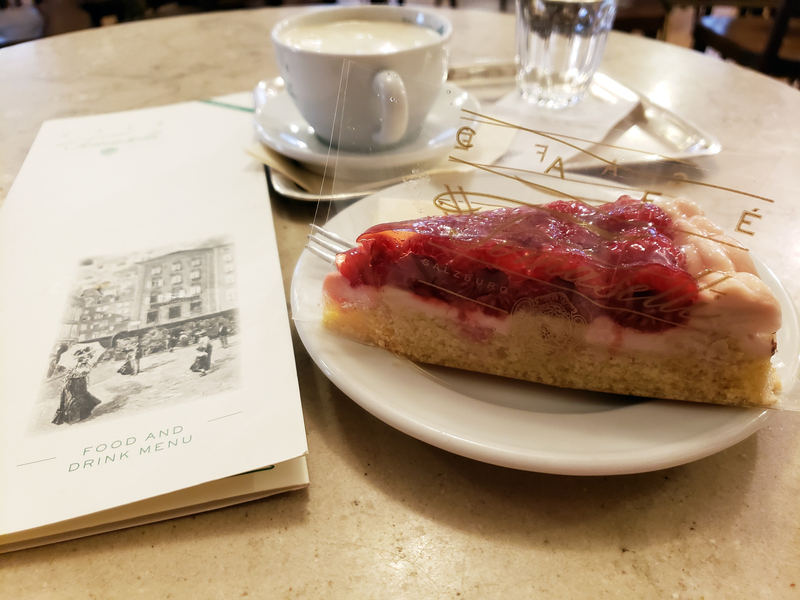 I made the mistake and decided to take the CAT train and for the cost of €12,00 for a single one-way ticket, I didn’t realize that it didn’t take me to the Wien Hauptbahnhof (Main Station), but to the Wien Mitte-Landstraße Bahnhof. From there, it was a 52 minute walk to my hotel, so I ended up having to hail a cab, which cost me way more than I wanted to spend. Now, if I would’ve taken the Railjet, the cost would’ve only been in the €5,00 range and would’ve taken the exact same amount of time and would’ve taken me to where I wanted to go. Rookie mistake on my part. The CAT is directly after the luggage carousel, so save yourself €7,00 and take the Railjet. 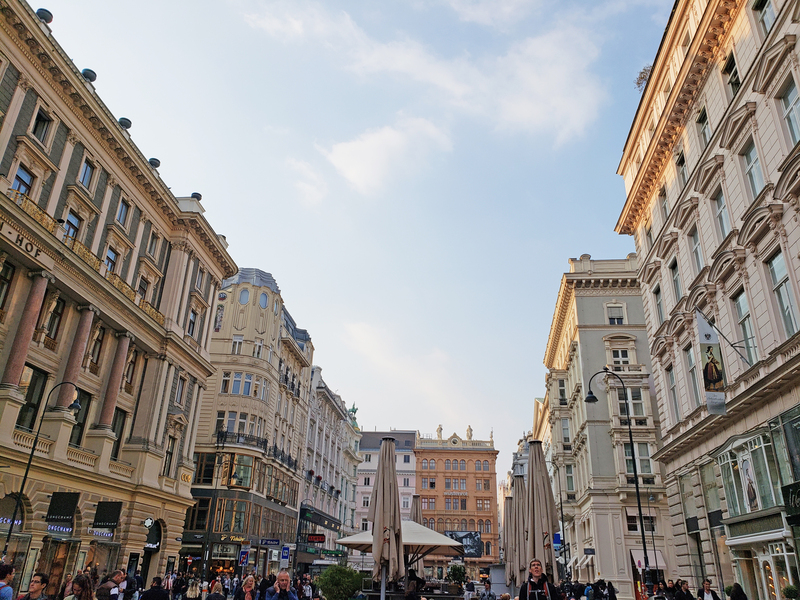 Once you arrive at your hotel and check in, freshen up and get ready to hit the streets of Vienna! 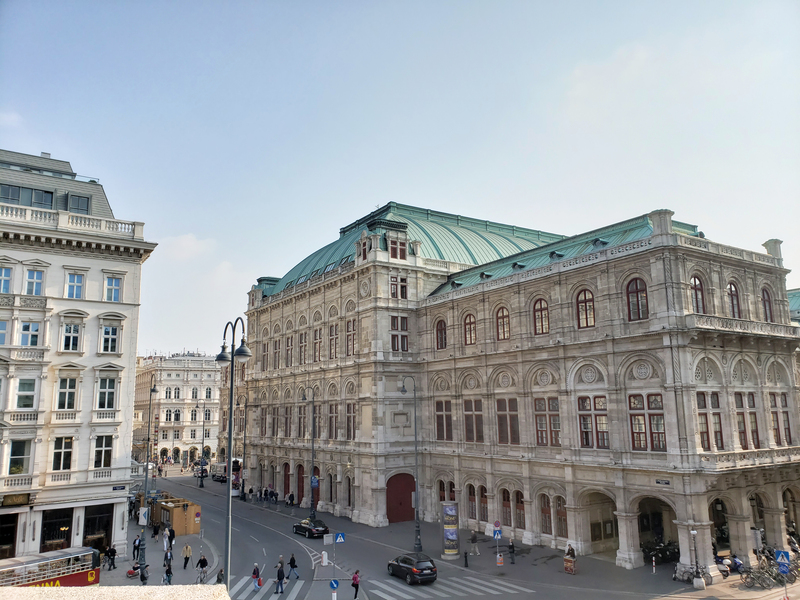 Now, Vienna is fairly large in size for a European city, so depending on what time you land and arrive at your hotel, you may not get to see much your first day. 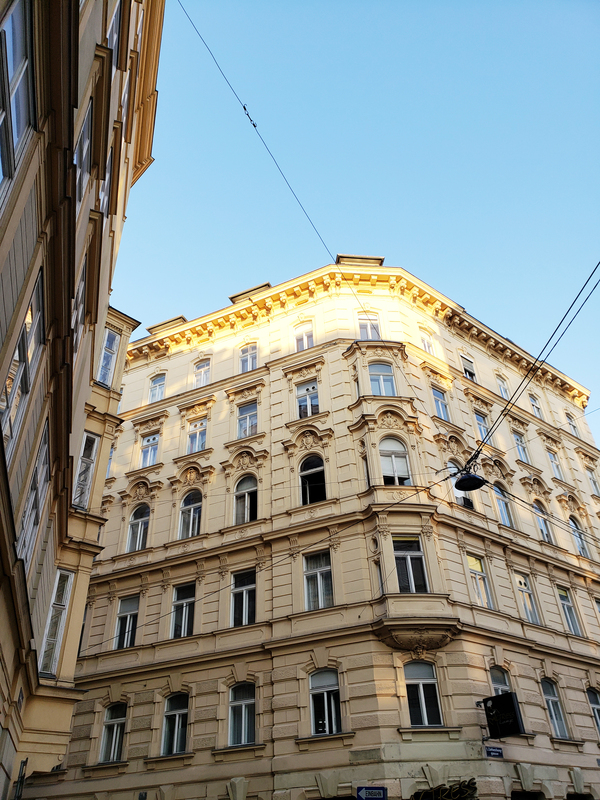 Walking around Vienna, you’ll notice just how grand and imperial all of the architecture is. 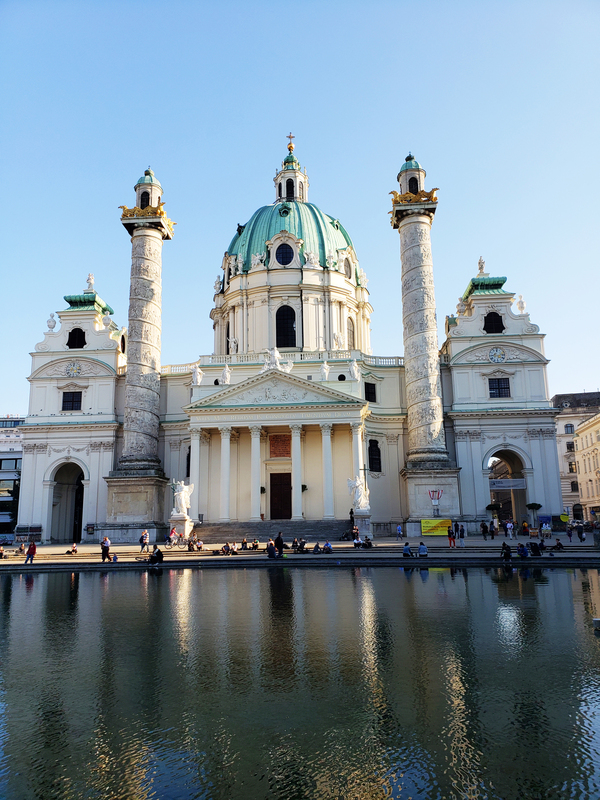 Be sure to hit up the 18th-century Roman Catholic church, Karlskirche, which stands tall at the south side of Karlplatz. 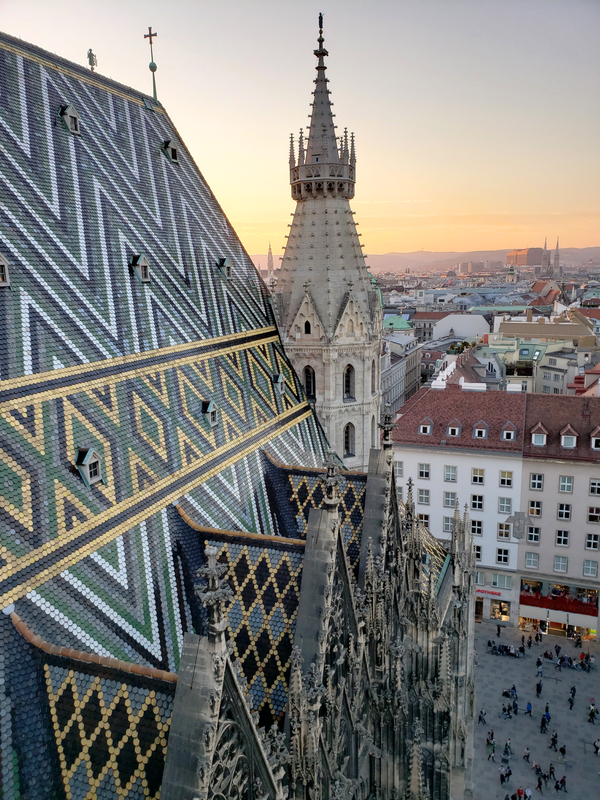 Make your way to Stephansplatz next to admire the massive and beautiful Stephansdom, which has incredible views across Vienna and can be reached via 343 steps, so make sure to eat your Wheaties. 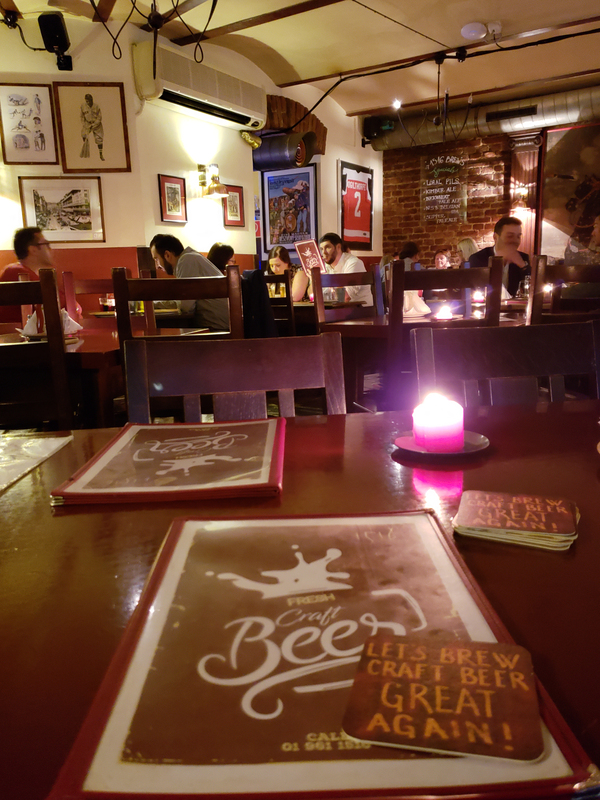 If the day is winding down, you’ll probably be tired and hungry at this point, so pop into a restaurant for a much deserved cold beer and hearty meal. My favourite stop was 1516 Brewing Company for some epic beers and a really cool vibe. You’ll probably be pretty tired by this point, so make your way back to your hotel for some much needed shut eye. 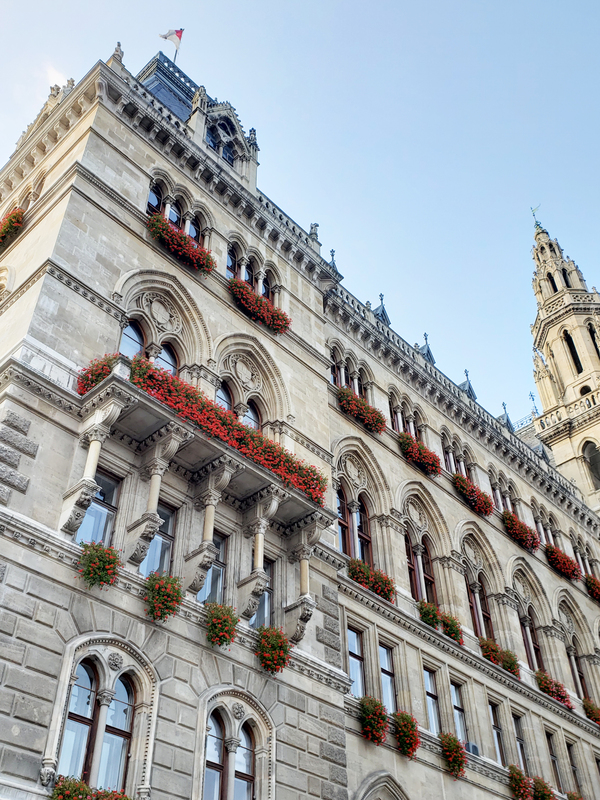 Get an early start to your day, grab breakfast, check out of your Vienna hotel and head to Wien Hauptbahnhof. 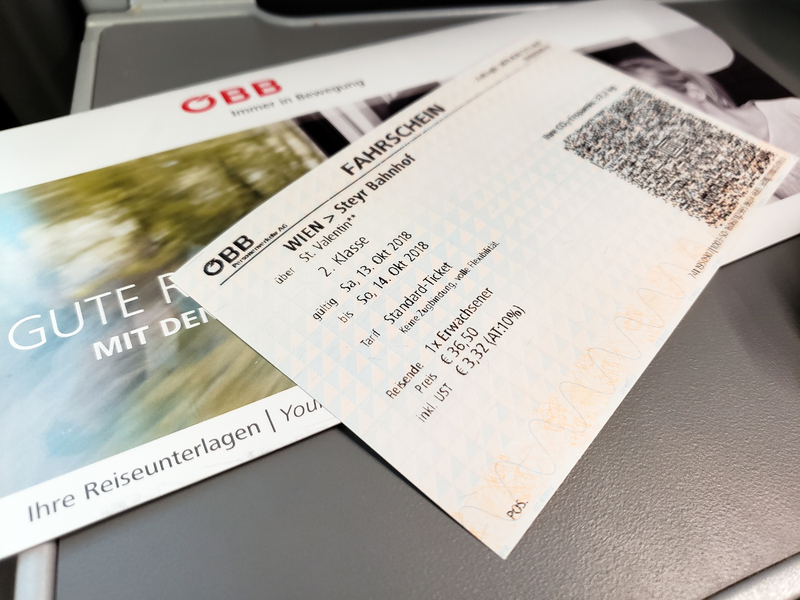 You can purchase your train ticket to Steyr from the OBB counters, or at the many OBB ticket machines throughout the station. 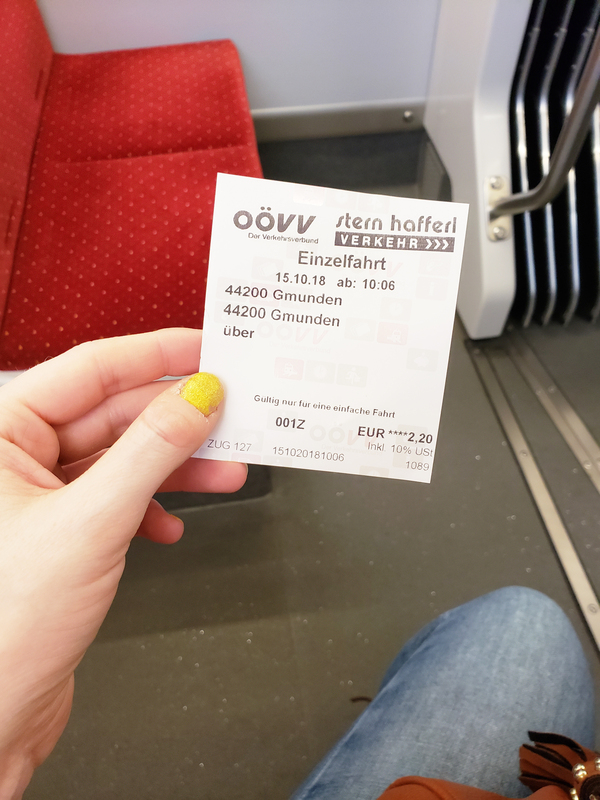 A one-way ticket to Steyr from Vienna will cost you approximately €23,00 and will require one transfer at St. Valentin station. 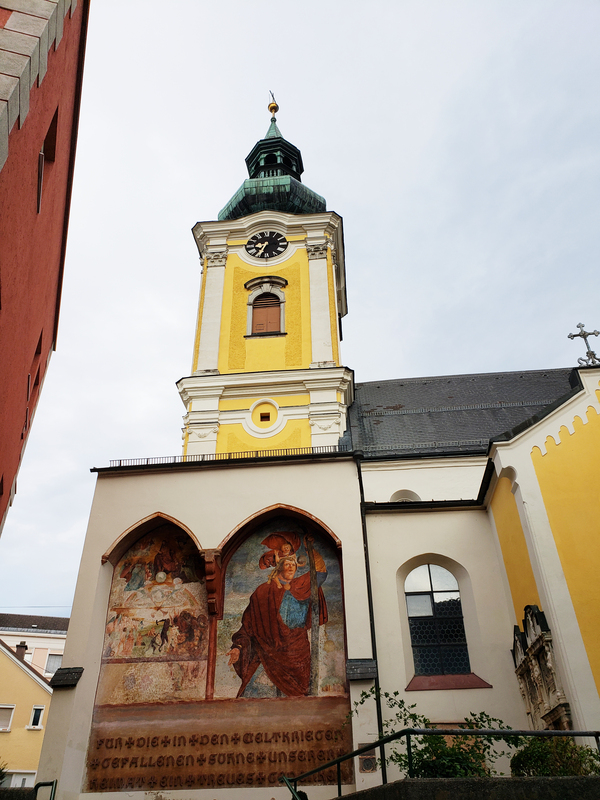 Once you’ve arrived in Steyr, check into your hotel and then head out to explore what Steyr has to offer. 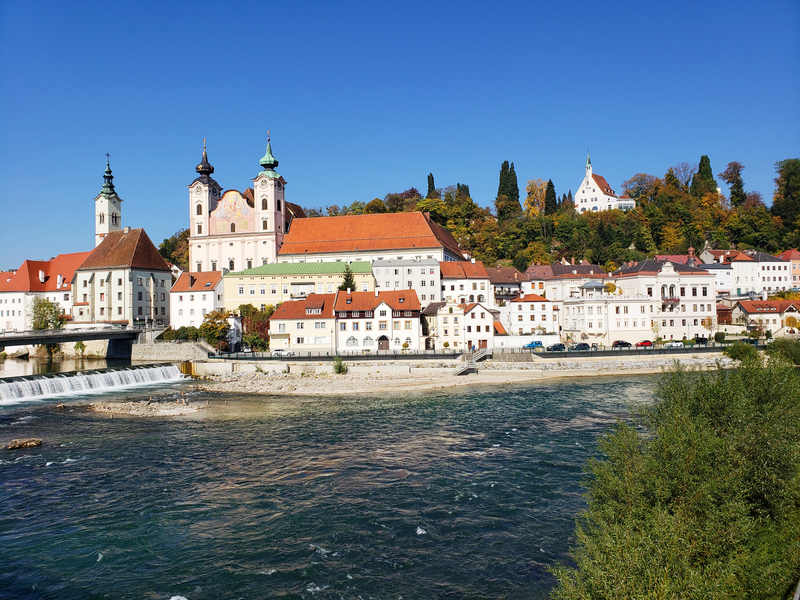 Steyr is a beautiful and charming little city located along the River Enns & Steyr. 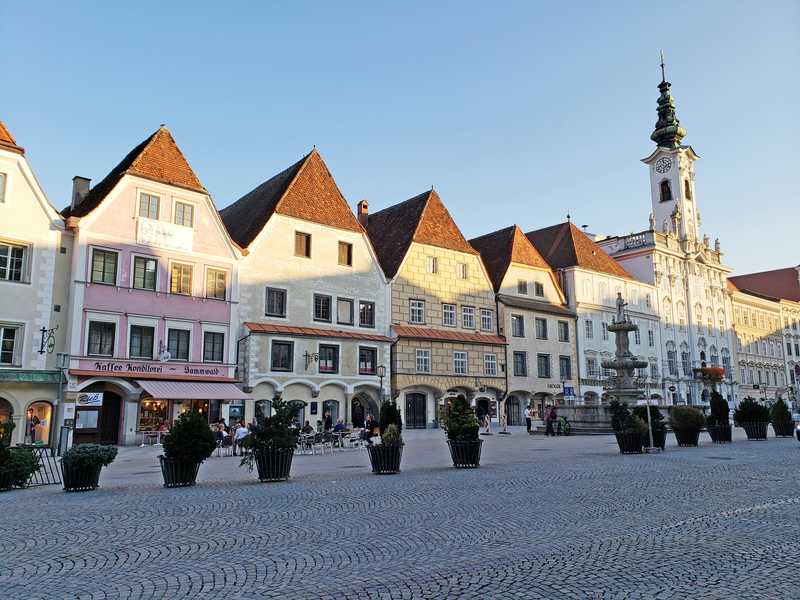 With a town castle sitting high above the quaint cobblestone streets, you’ll instantly feel as though you’ve been transported into the pages of a history book. Start your day off by meandering through the streets, visiting the Schloss Lamberg grounds and enjoying a beer along the Stadtplatz. The Stadtplatz is also home to many attractions such as the Bummerlhaus mansion, which is one of Austria’s oldest buildings and dates back to the 13th-century and also Steyr’s Rathaus (Town Hall) that dates back to the Rococo era, the Baroque style Sternhaus and many other colourful establishments, which make the Stadtplatz the place to be when in Steyr. Once you’ve wandered the Stadtplatz, head on over to Zwischenbrücken to admire the stunning pink facade of Michaelerkirche. Roaring beneath the bridges of Zwischenbrücken and Bahnhofstraße, lies the mighty Steyr and Enns Rivers, which makes for the best views of Michaelerkirche and the bright blue water of the conjoining rivers, in my opinion. Looking for a place to relax with a book, a coffee, or just to sit and people watch? Look no further than Werndlpark. 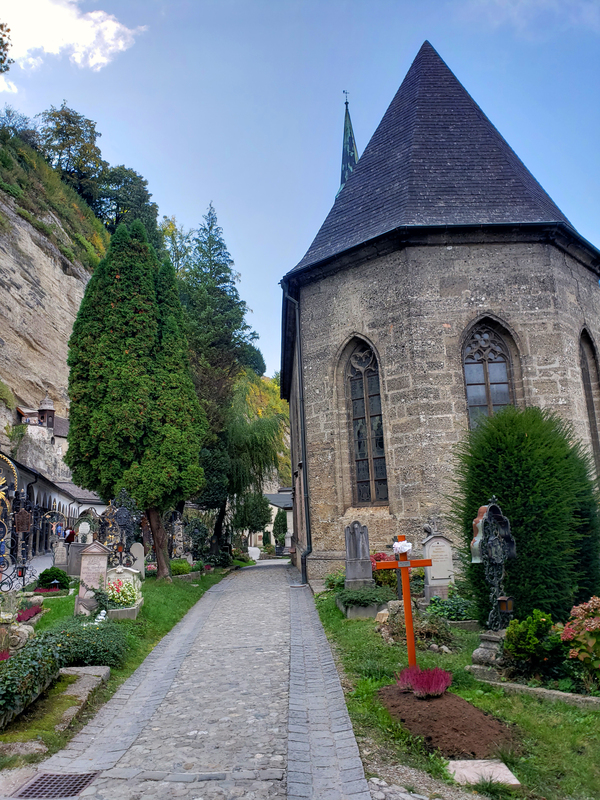 Located just kitty corner to Schloss Lamberg, this almost secret little park is the perfect hideaway and slightly wooden area to enjoy a stroll, or watch the autumn leaves fall from above you. 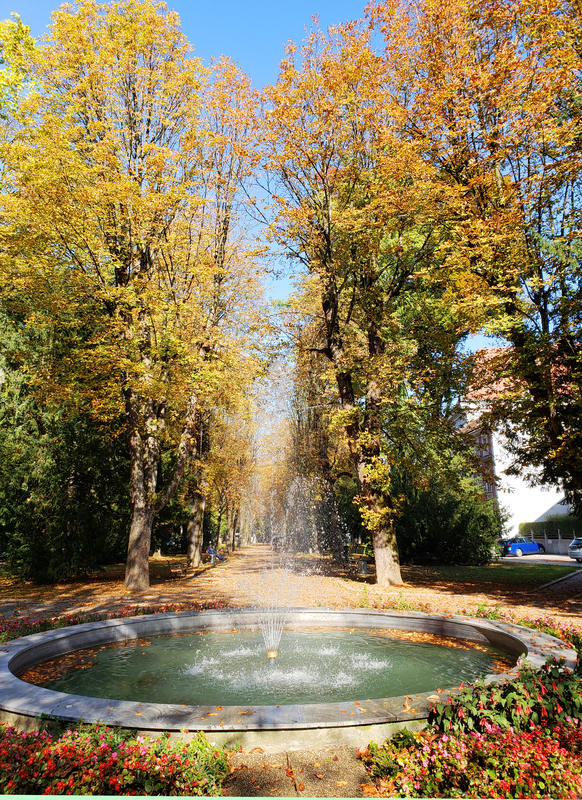 There is also a beautiful fountain in the centre of the park, making it one of the most peaceful places in the city to enjoy. You can access this green space via Handel-Mazzetti Promenade. Before heading for dinner, make sure to get a photo of the city from the best vantage point in town. 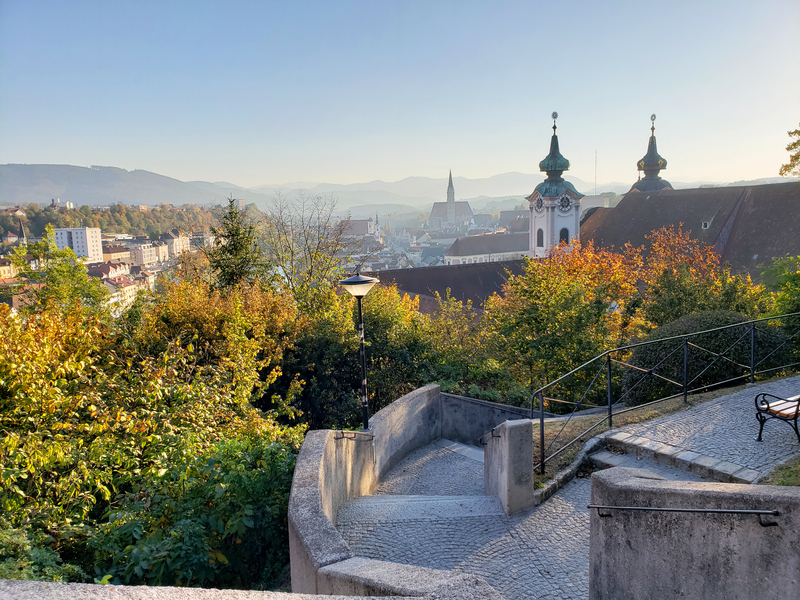 If you walk behind Michaelerkirche along Michaelerplatz, you’ll see a staircase which will lead you through a tunnel-like structure and up a TON of stairs…walk up those stairs all the way to the top and you’ll be awarded with the BEST views of Steyr. 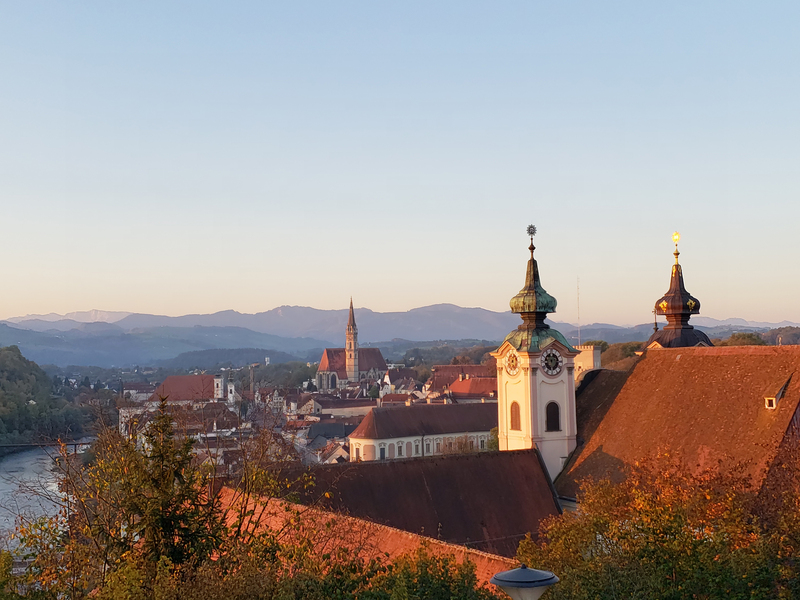 From here, you’ll see the mighty Stadtpfarrkirche, the Old Town and even the mountain range along the city. If you would rather head up to the vantage point for sunrise, that’s also a very good time to enjoy the early morning glow over the city. Once you’re done snapping photos, head into the city centre for a delicious and well deserved meal before heading back to your hotel for the evening. 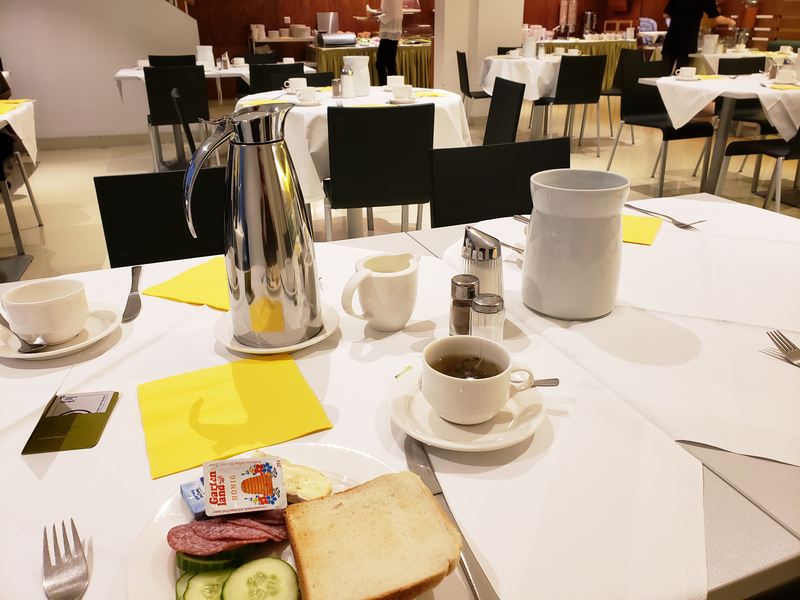 Enjoy an early morning breakfast at your hotel before catching the three hour train to Gmunden, a small lakeside town that sits at the northern edge of the 12 kilometre long Traunsee. 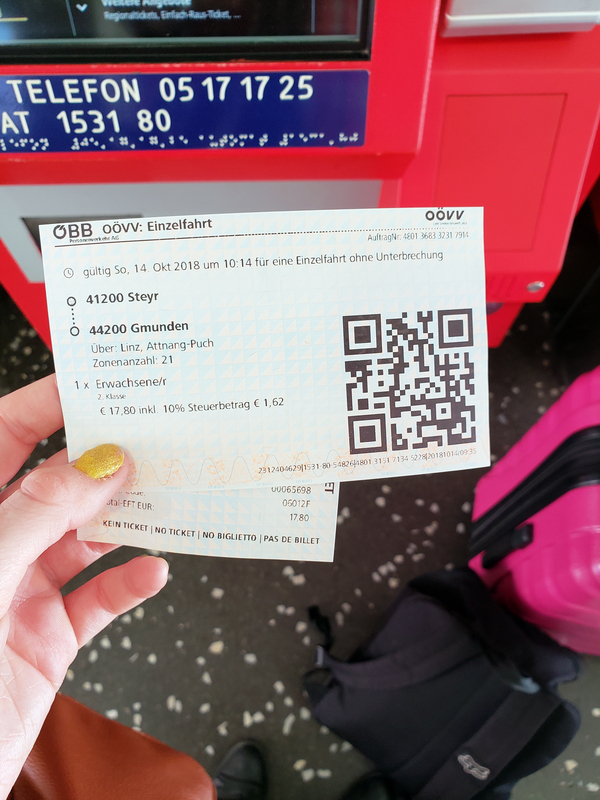 You’ll need to make a transfer at the Linz station before continuing on to Gmunden and the total trip should cost approximately €19,00. 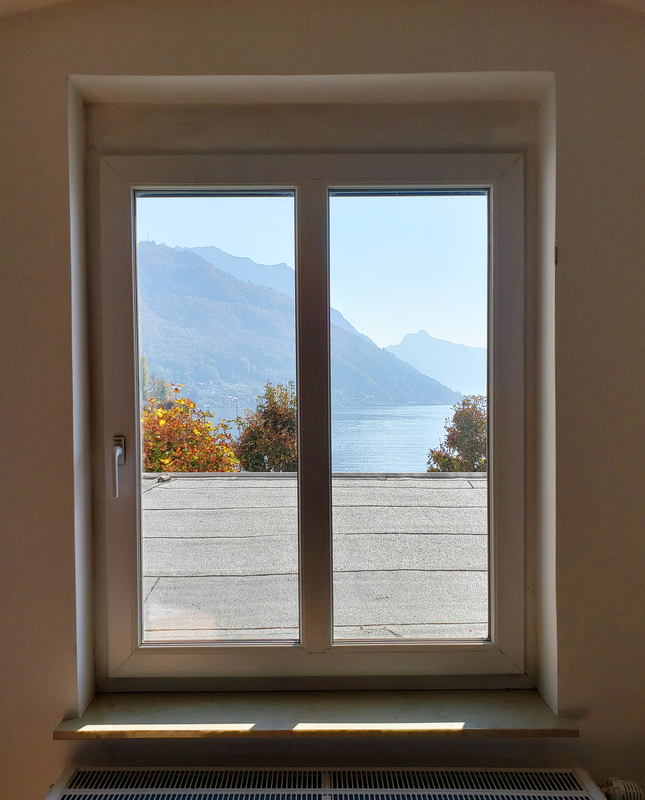 Gmunden is a charming little town that will instantly steal your heart. 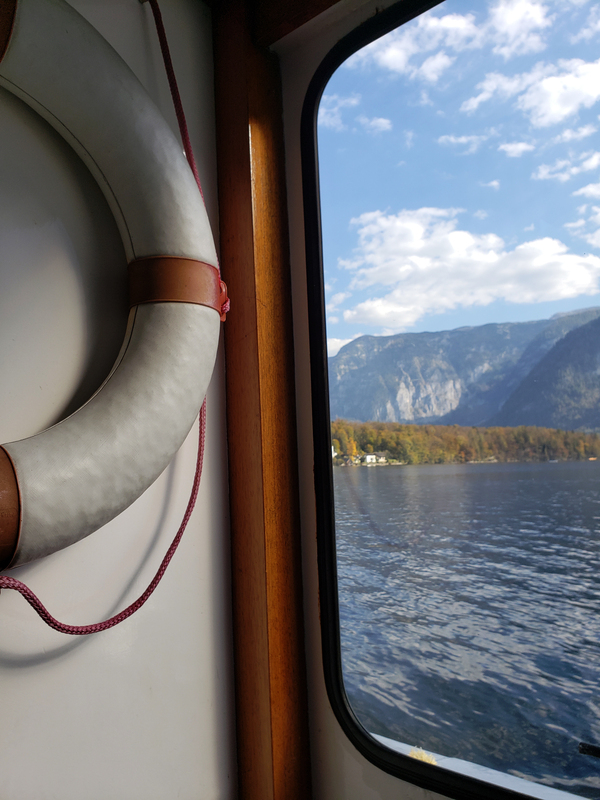 To see what Gmunden has to offer nice and early, after you check in, head to the Grünberg Seilbahn (cable car) and head the Grünberg Mountain to experience some of Austria’s finest landscapes. 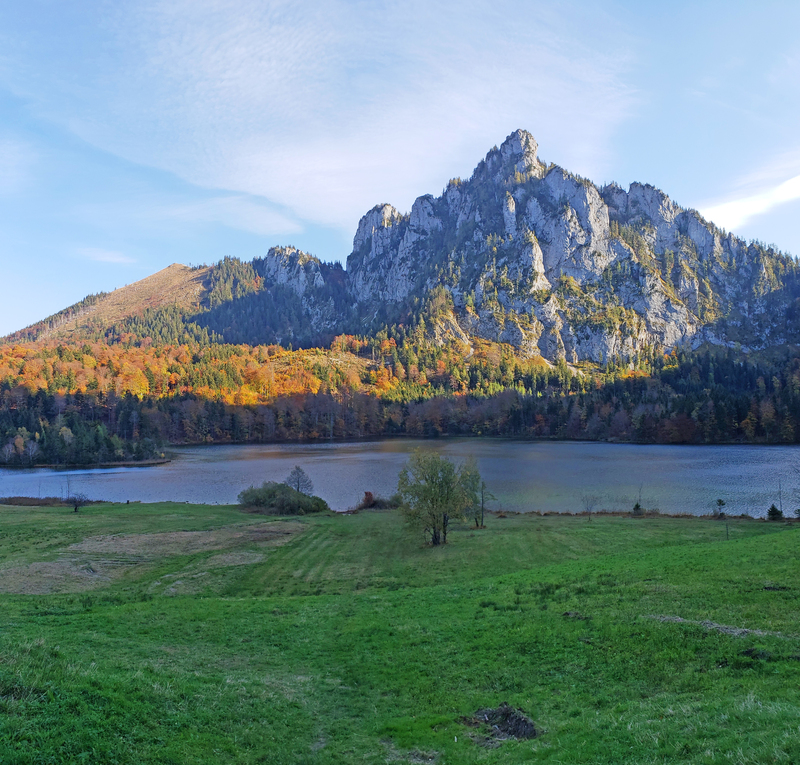 Take the one hour hike to Laudachsee, which is a beautiful lake on the mountain and takes you through open flat trails, thick forested areas and even some rocky and slightly steep terrain on some parts. 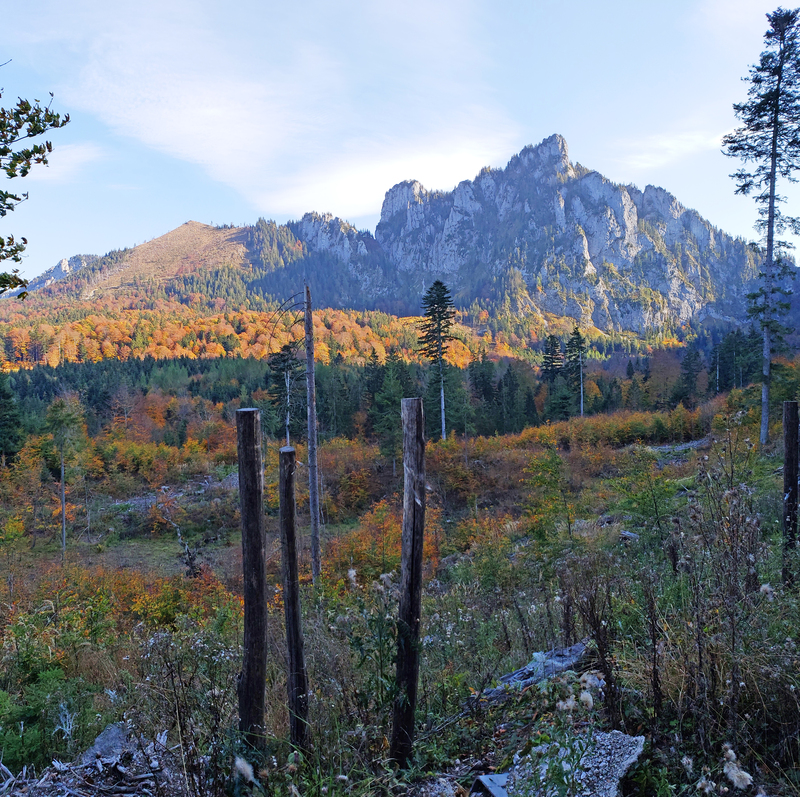 The hike can be done by children, seniors and every age in between. 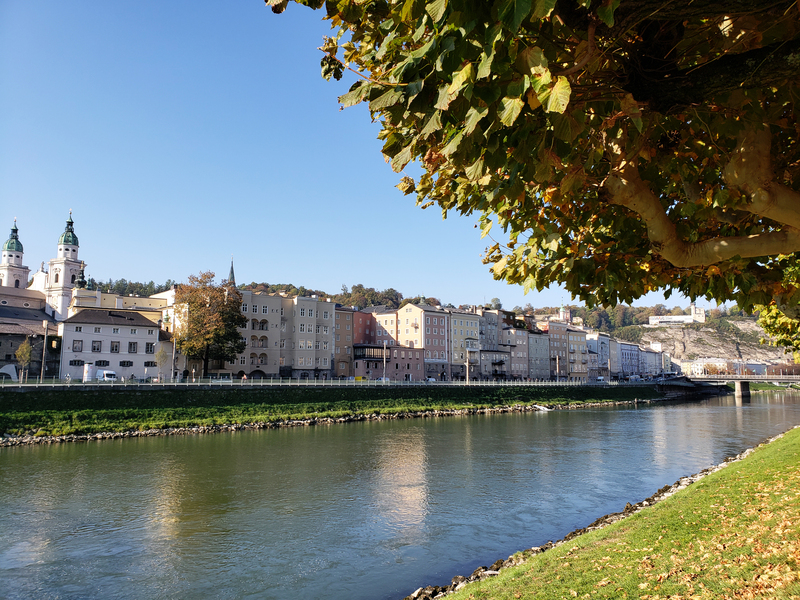 Once you’ve completed your hike, head back down the Grünberg Seilbahn and enjoy a sunset walk along the promenade before heading to a traditional Austrian dinner to wind down for the night. 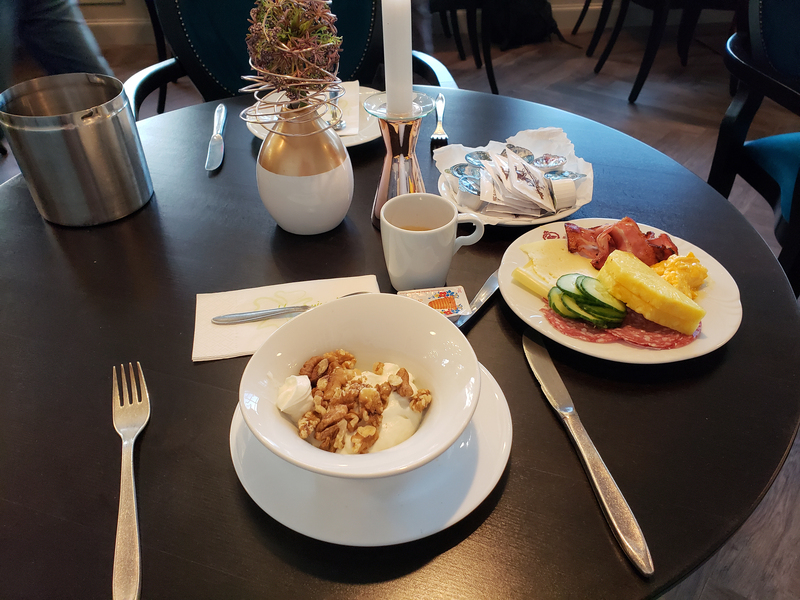 Get an early start to your day (there’s a theme here) and have a nice breakfast at your Gmunden hotel before setting out to see some parts of town that you may not have seen yesterday. 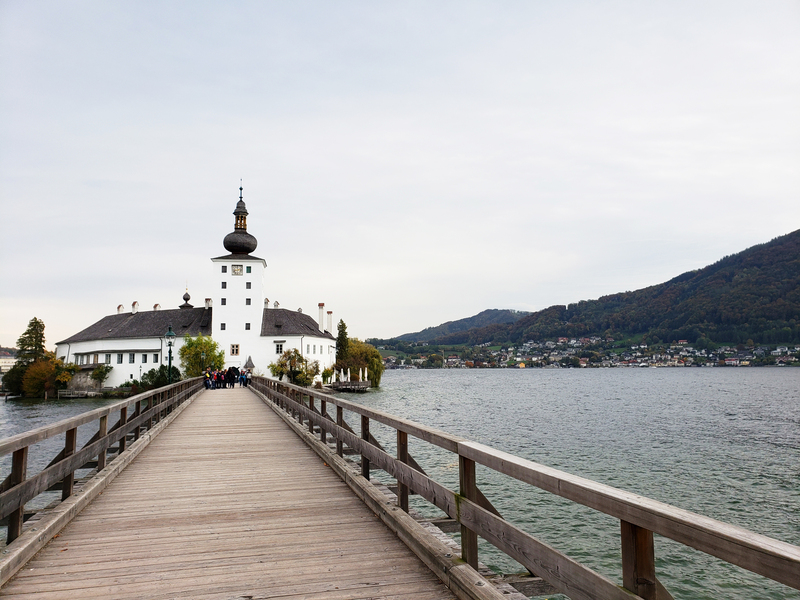 Head on over to Schloss Ort, which is an Austrian castle with an onion shaped dome situated in the middle of Traunsee and is accessible via a long wooden foot bridge. 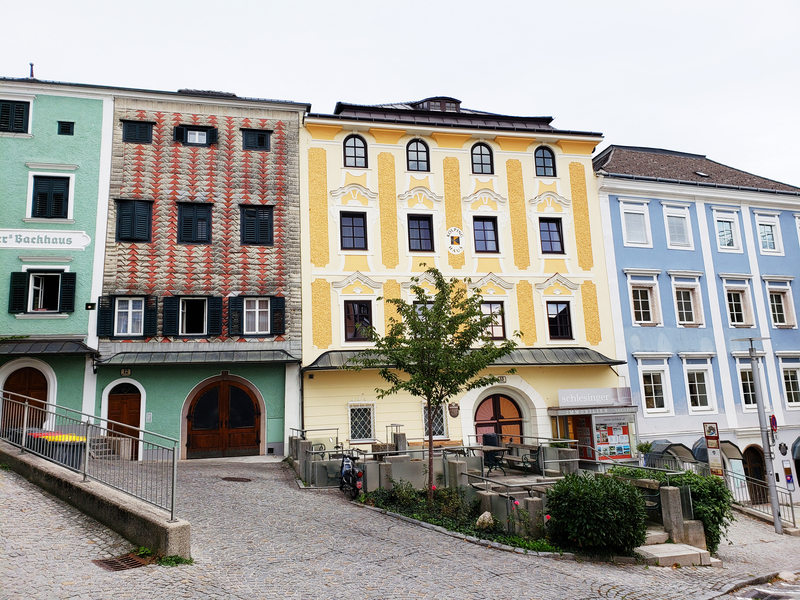 After you are finished taking some snaps at the castle, walk back into town and explore the tiny Altstadt with its colourful buildings and sleepy streets before catching the streetcar from your hotel to the train station to catch your ride to your next destination; the city of music, the one and only Salzburg! Take an hour and ten minute train from Gmunden to Salzburg next. You’ll need to make one station transfer in Attnang-Puchheim before heading to Salzburg and the total trip should cost you about €20,00. 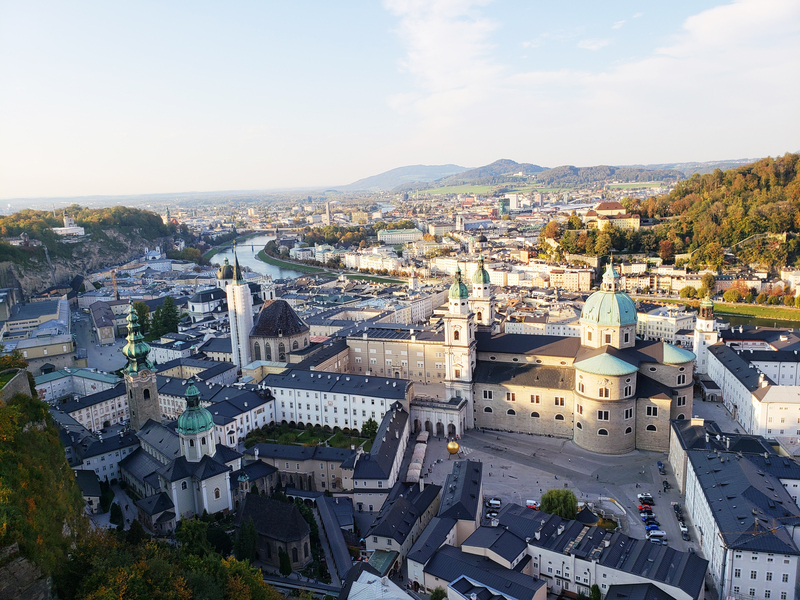 Once you arrive in Salzburg, you’ll check into your hotel, grab a bite to eat and hit the streets ready to explore this amazing city. 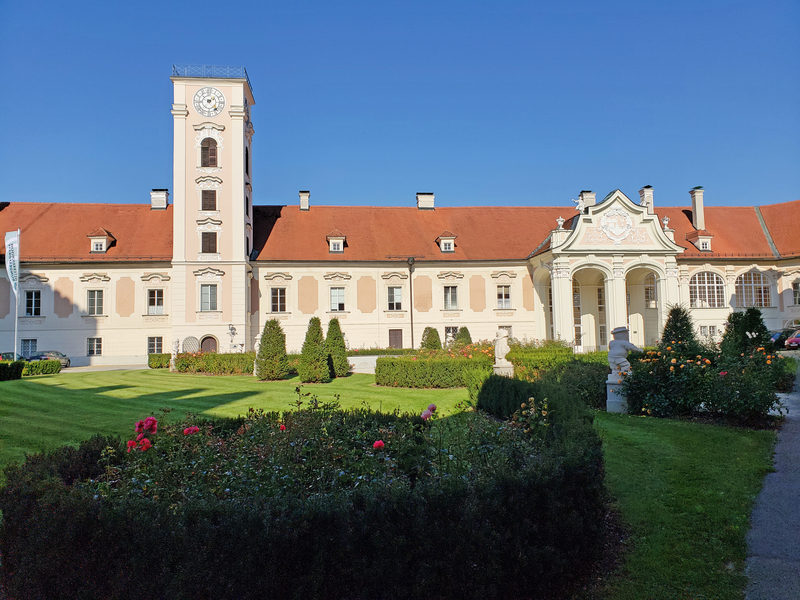 It’ll be mid-afternoon by the time you finish lunch, so head to Schloss Mirabell and the beautifully manicured Mirabell Gardens. 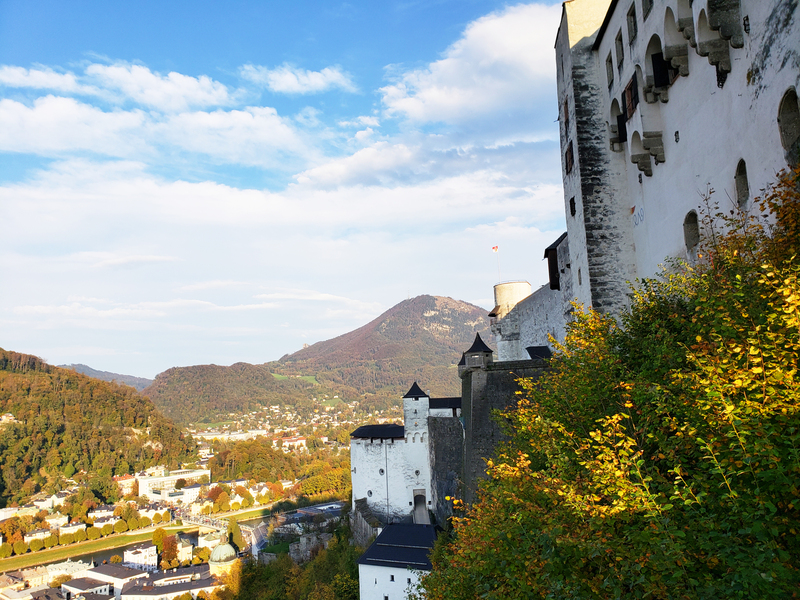 Next, visit St. Peter’s Church and Cemetery before heading up to the top of Festungsberg in the heart of the Altstadt to Hohensalzburg Fortress, which holds a commanding view over the entire city of Salzburg. 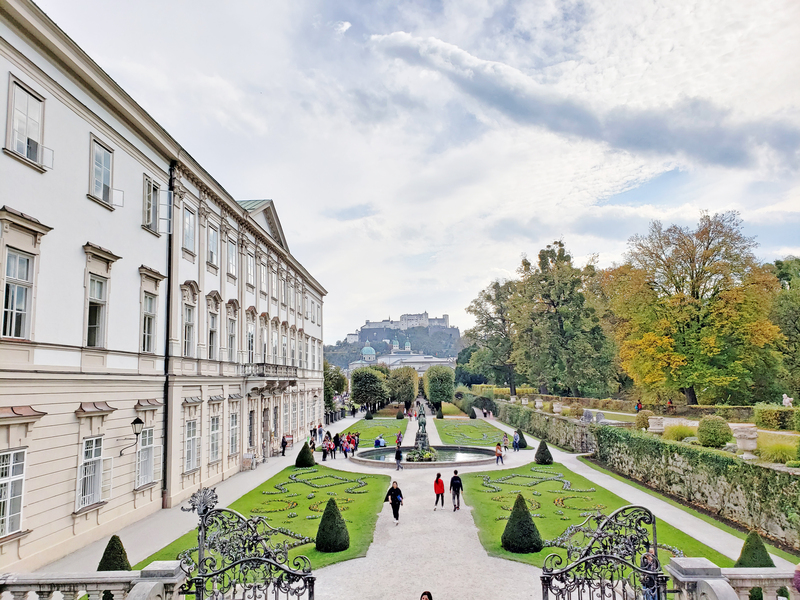 After grabbing a beer at the fortress’ outdoor terrace and exploring the grounds, make your way back down to the city centre and wander up the Getreidegasse. The Getreidegasse is the main shopping vein of Salzburg’s Altstadt and also the birthplace of Mozart. 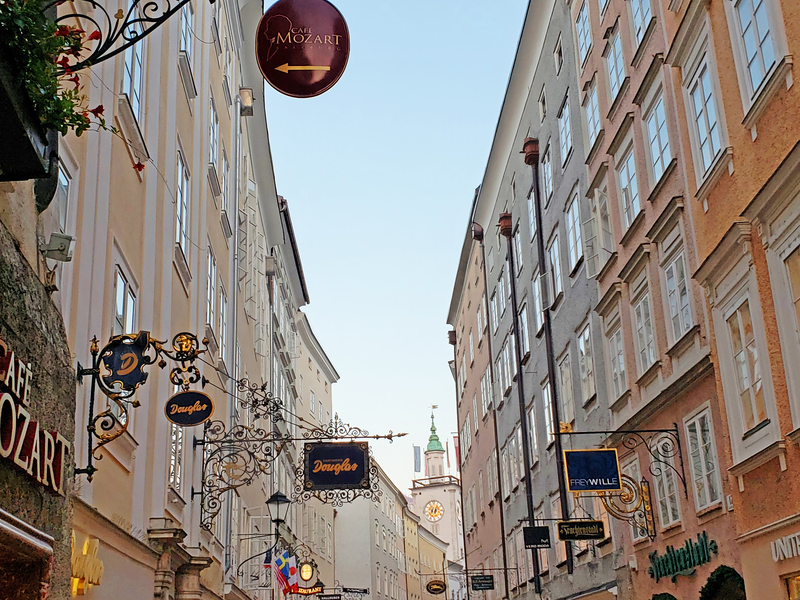 The Getreidesgasse is bustling with tourists and locals throughout any given time of the day and makes for a lively stroll in the early evening. 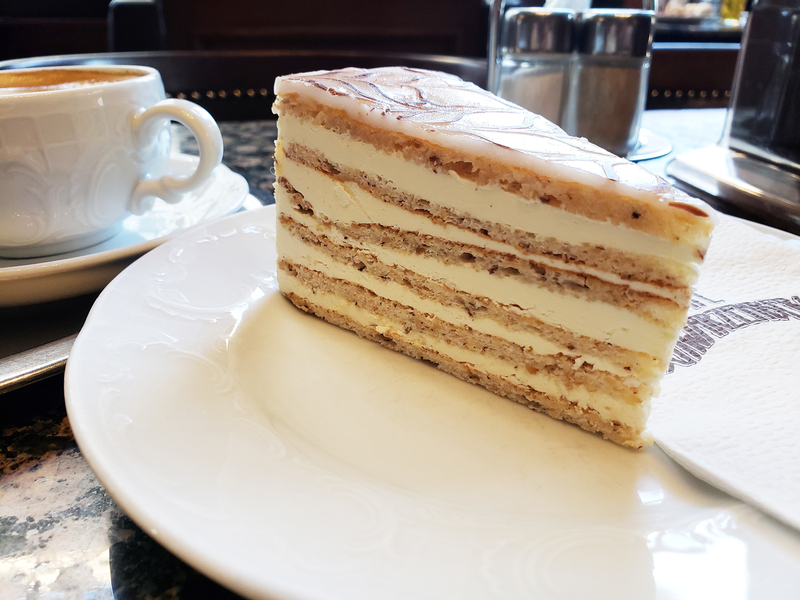 Make sure to stop at a local café for some delectable cakes and a nice hot coffee. 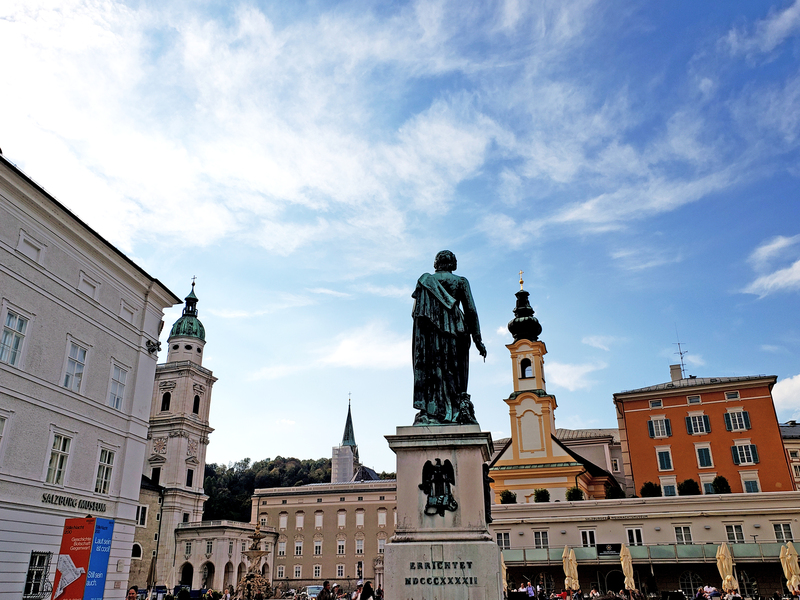 To finish off your first day in Salzburg, visit the Dom zu Salzburg, or Salzburg Cathedral, the nearby Kapitelplatz, Mozartplatz, enjoy a hearty and traditional Austrian meal and stroll along the Salzach River before turning in for the night. 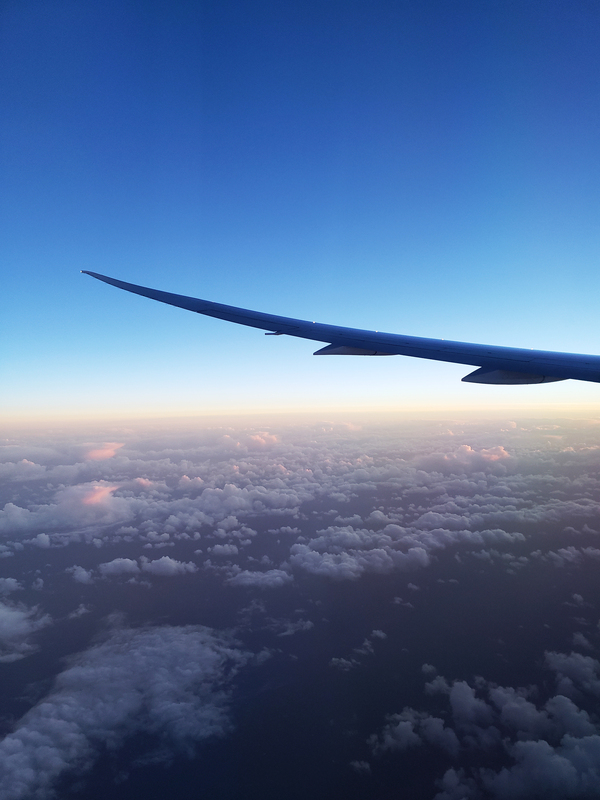 This will be the earliest travel day during your trip. 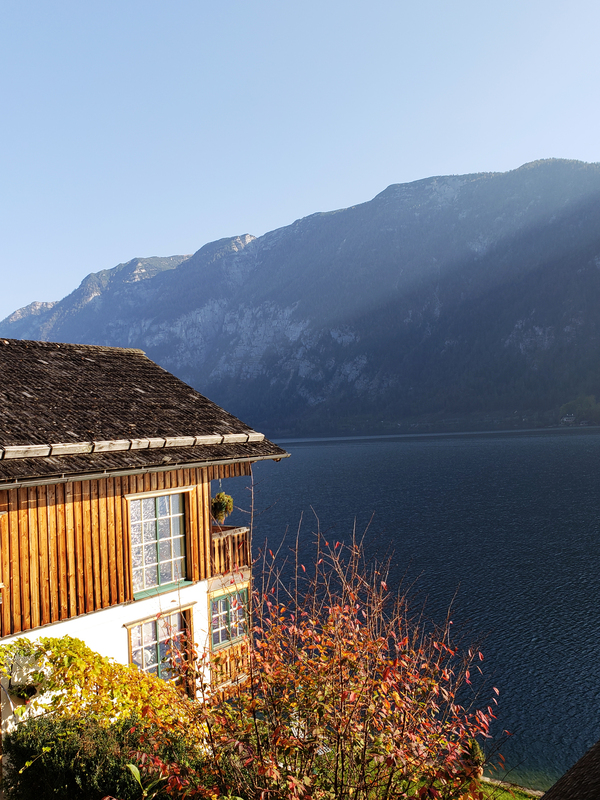 Catch the 7:12am train (times may vary) from the Salzburg Hauptbahnhof to the most idyllic Austrian village nestled in the heart of the Salzkammergut Lake Region; the village of Hallstatt. 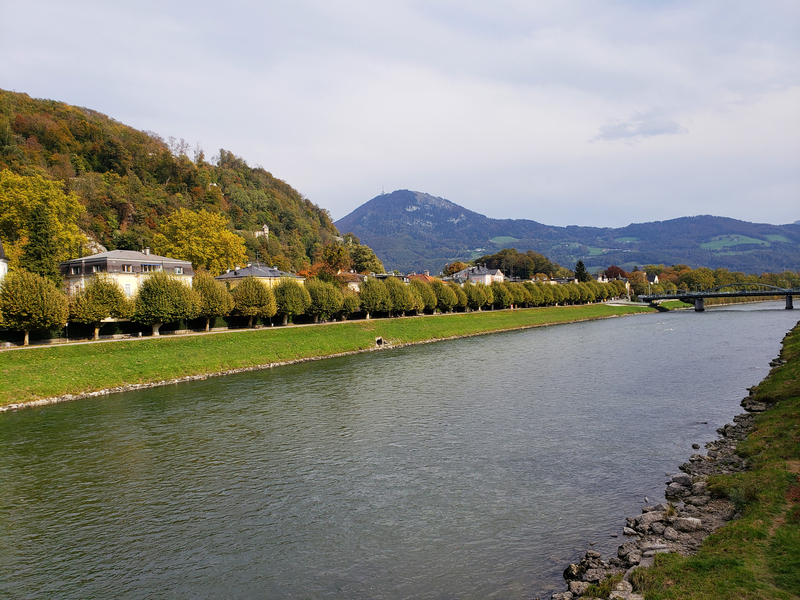 From Salzburg, you’ll need to make a transfer in Attnang-Puchheim before making your way to Hallstatt station and the total trip one-way should cost about €25,00. 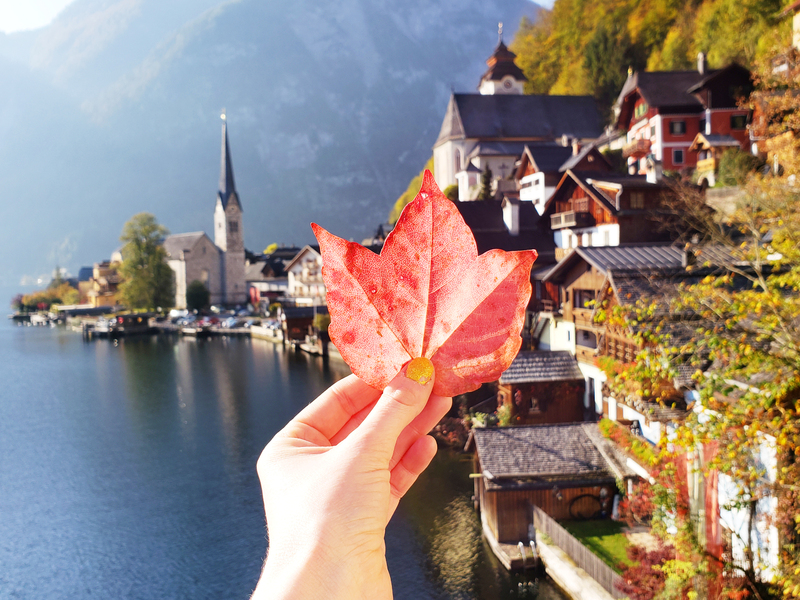 Once you reach Hallstatt around 9:20am, you’ll need to make your way down the little footpath down to the lake to catch a ferry across the lake in order to reach Hallstatt. You can purchase a return ferry trip for about €5,00 directly from the ferry’s captain. 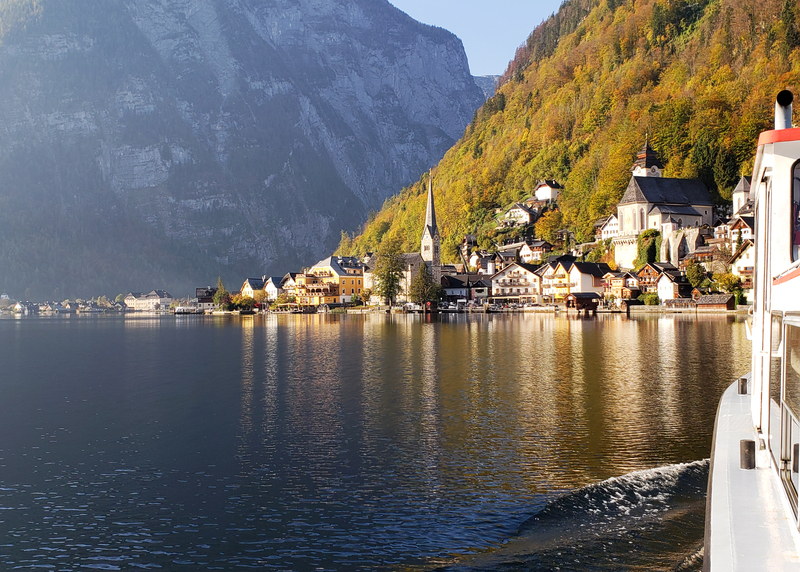 Once you dock in Hallstatt, you’ll want to head right to the opposite end of the village in order to get that coveted Hallstatt shot that everyone wants. 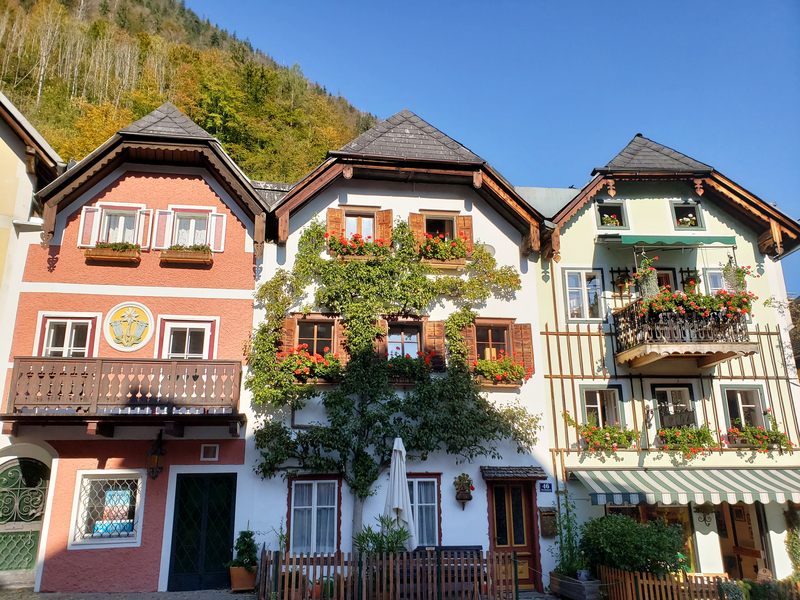 You’ll notice that Hallstatt is jam packed with tourists already, even in the early morning hours, hence why the early arrival is the most ideal. 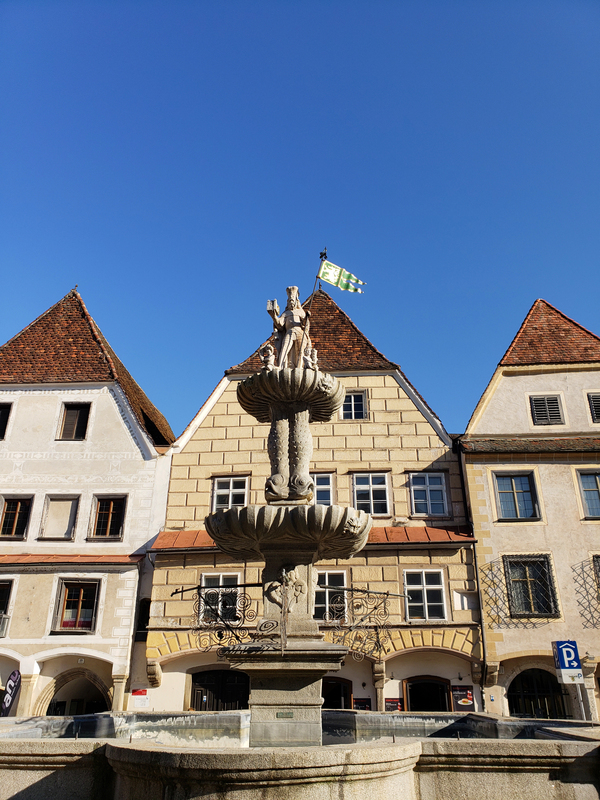 Spend the next couple of hours slowly walking around the village, taking in the sites and stopping to admire the Marktplatz in the middle of the village. From the Marktplatz, head on up to Hallstatt’s Beinhouse (Bone House or Charnal House), which is unique worldwide. 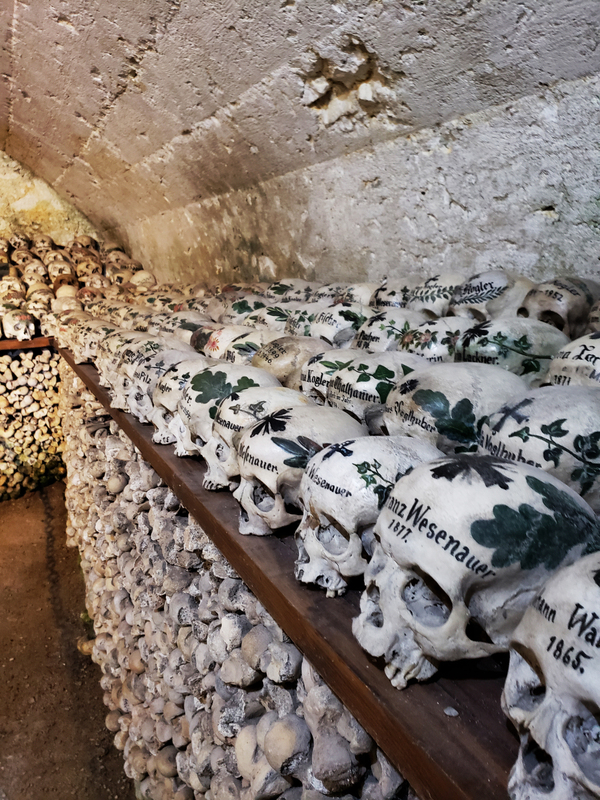 It has existed since the 12th-century and houses approximately 1200 skulls. 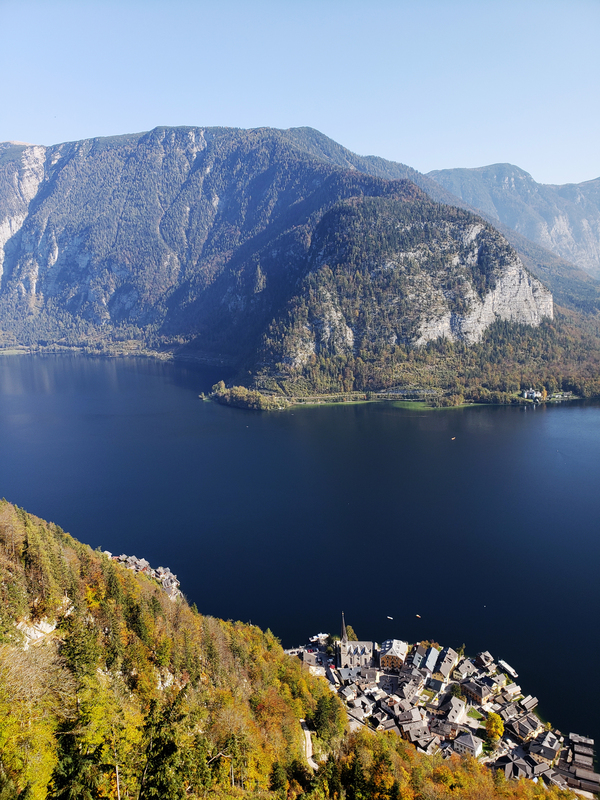 Next, walk to the far end of the village and take the funicular to the “Top of Hallstatt.” For a cost of €16,00 for a round trip adult priced ticket, you’ll be rewarded with some of the most breathtaking views in the whole Salzkammergut region. 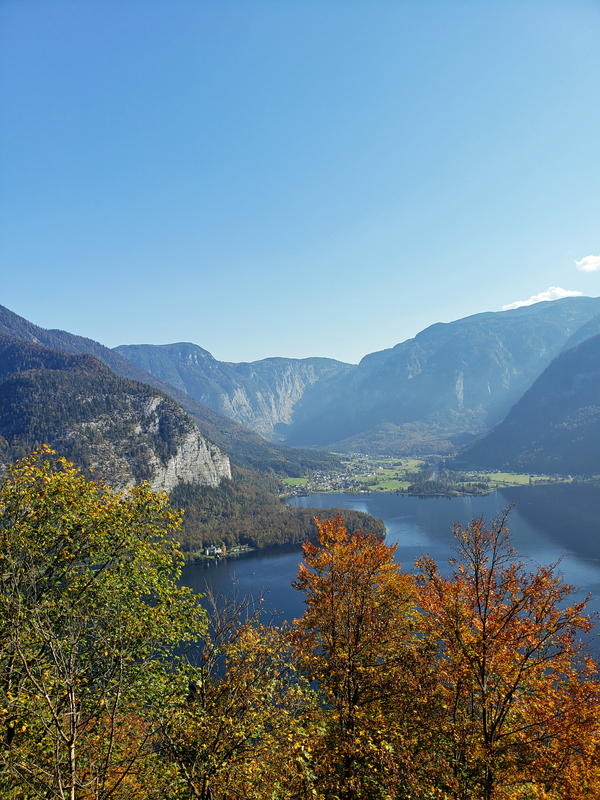 Make sure to grab lunch at the top to stop and enjoy the views of Hallstatt below. 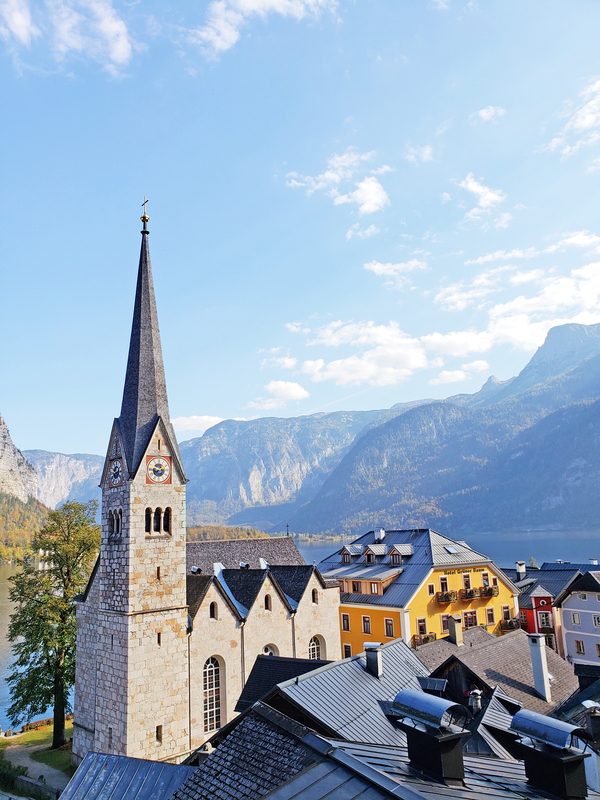 Head back down to the village and wander around a bit and poke your head into the Evangelische Pfarrkirche (Evangelical Parish Church) to view some history of Hallstatt and the surrounding area. Make your way back to the ferry dock and wait for the boat to pick you up and take you back to the station. The train and ferry link up to match schedule times, so you won’t need to wait around very long for the train. 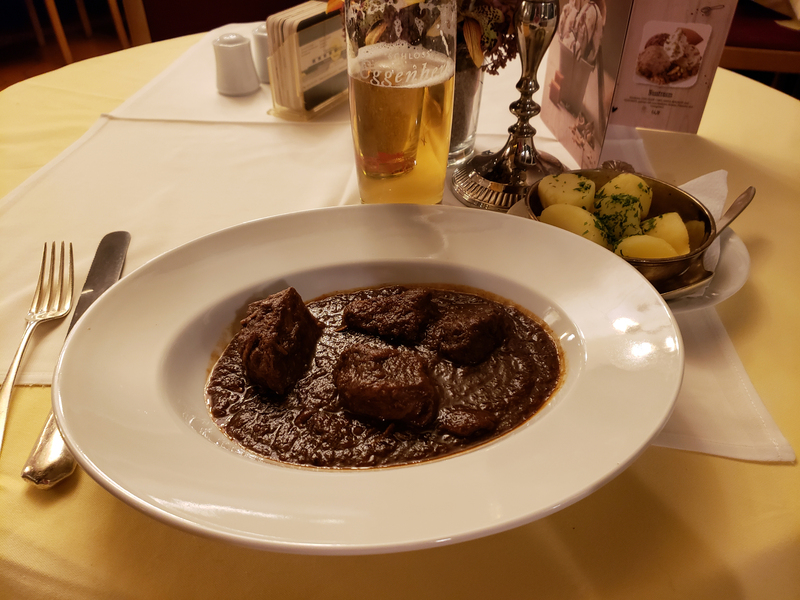 Make your way back to Salzburg and grab a bite to eat, walk around the Altstadt before checking in for the night after a long day. 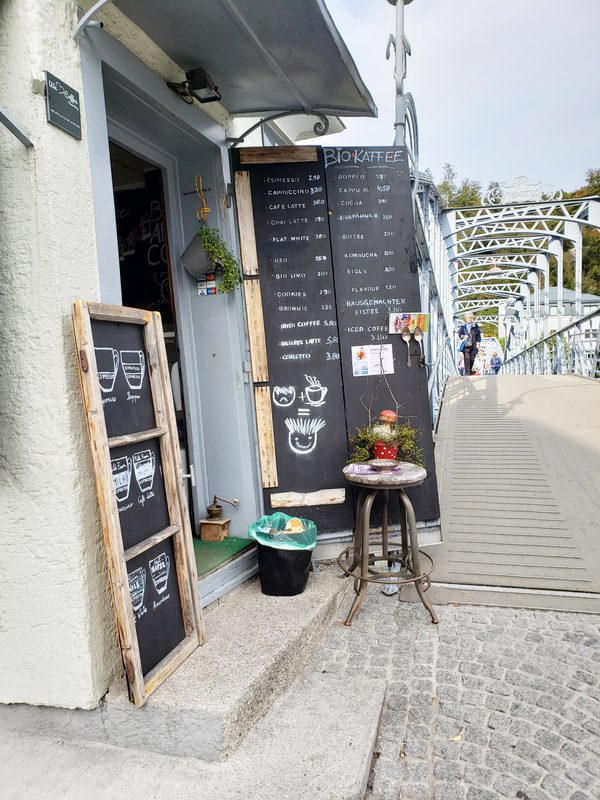 Before checking out of your hotel, go get breakfast at a traditional café within the Altstadt, go for a walk along the Salzach and grab a coffee at the foot of the Mozartsteg (Mozart Bridge) located closest to the Altstadt side. 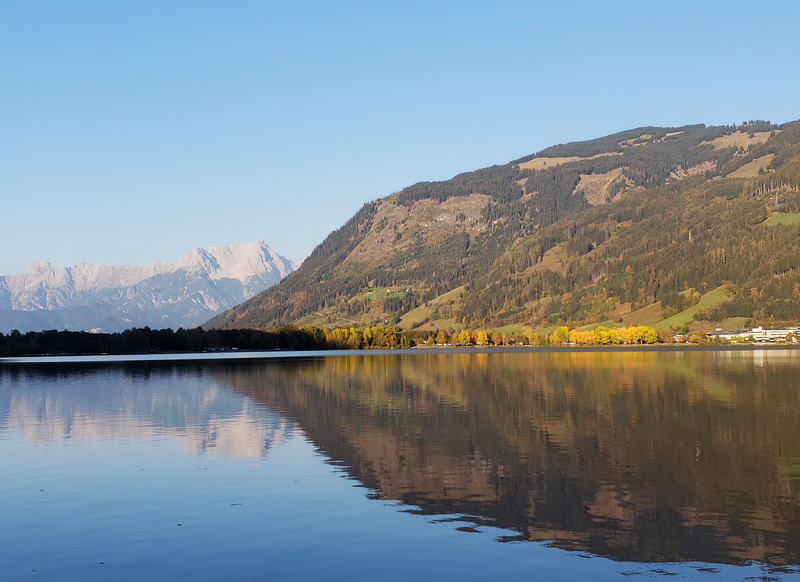 Once you’ve checked out of your hotel, head to the Salzburg Hauptbahnhof and purchase your ticket to head to Zell am See. 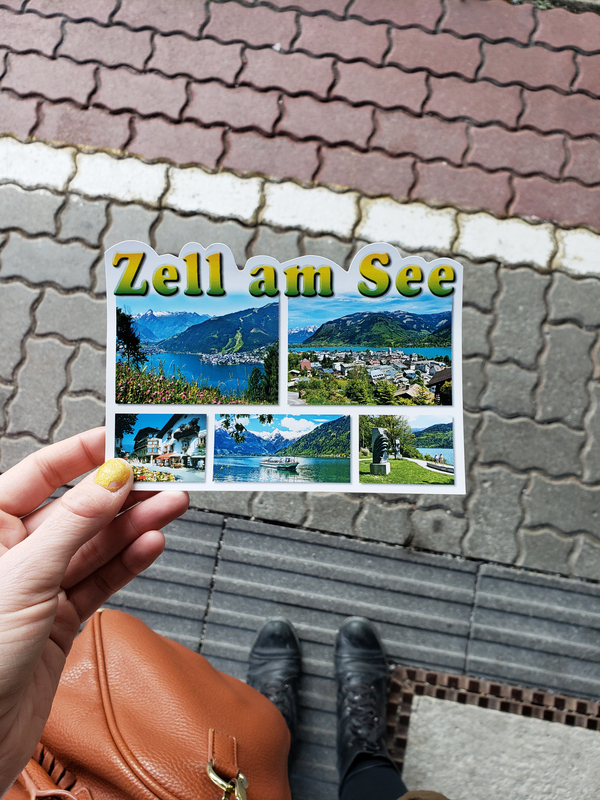 The train ride to Zell am See is about an hour and a half and will take you through some of the prettiest scenery that Austria has to offer and the cost is roughly around €16,00. 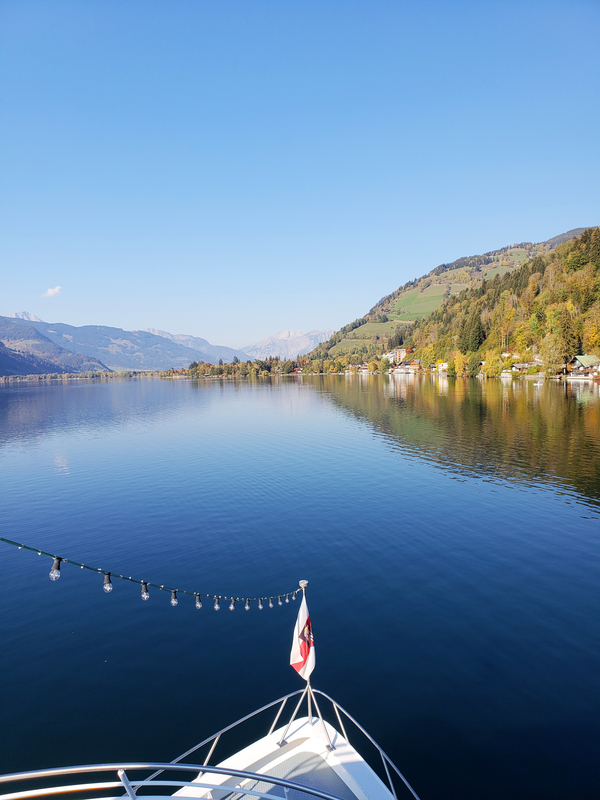 Surrounded by beautiful mountains, Zell am See is the perfect place to be one with nature, avoid excessive crowds and cars and just revel in the beauty of your surroundings. 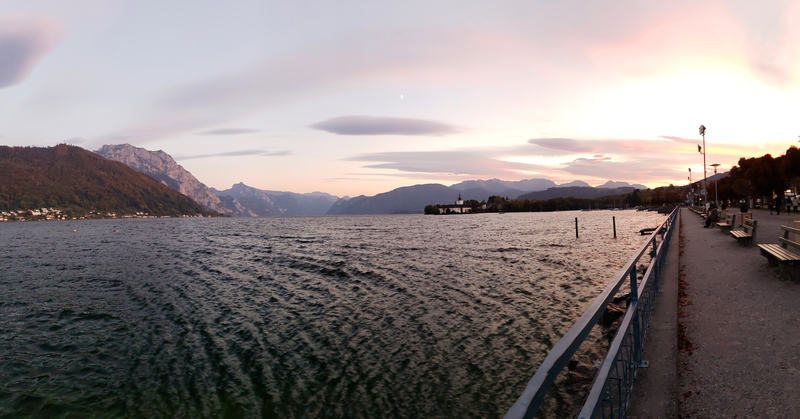 Zell am See is nothing short of breathtaking and was my version of heaven. 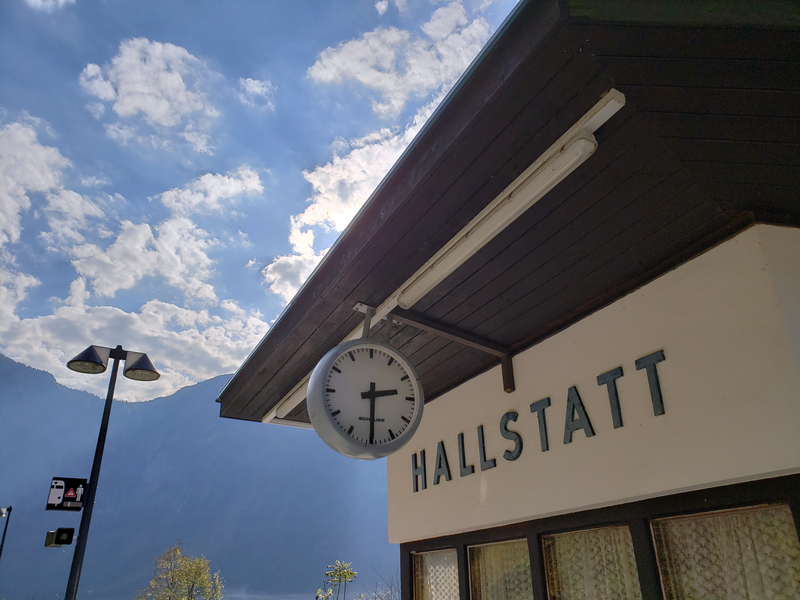 After arriving at the station, make your way to your Zell am See hotel and check in. 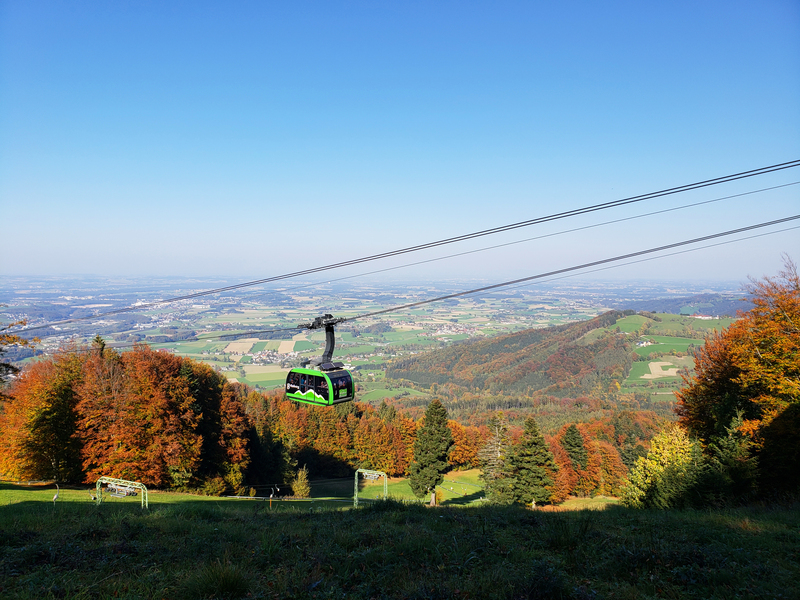 Depending on the time of your arrival, head to the Schmittenhöhe cable car to make your way to the top of the town’s main mountain attraction for some great hikes and views. If you are unsure of operating times, just ask your hotel receptionist and they’ll be more than happy to help you out. 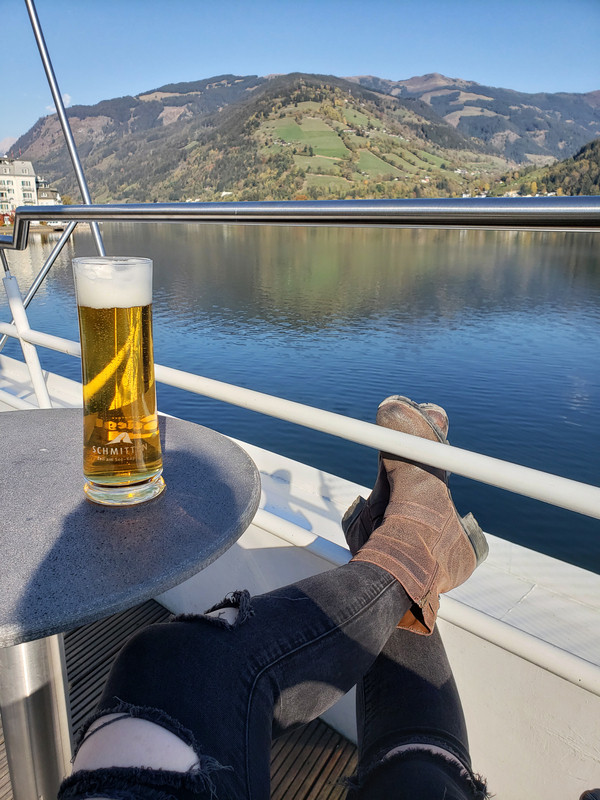 Another activity that you could do instead of the cable car is take a boat ride around Lake Zell on the MS Schmittenhöhe, kick your feet up and relax with a beer and a million dollar view. 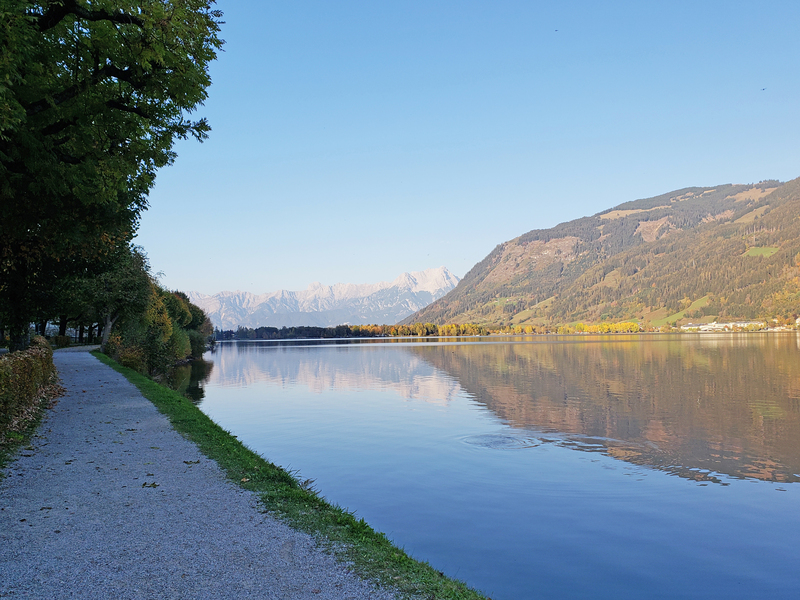 After the cruise, take a leisurely stroll along the Zell am See esplanade, which is a tranquil lakeside walk that is a great way to relax and enjoy the surrounding scenery. 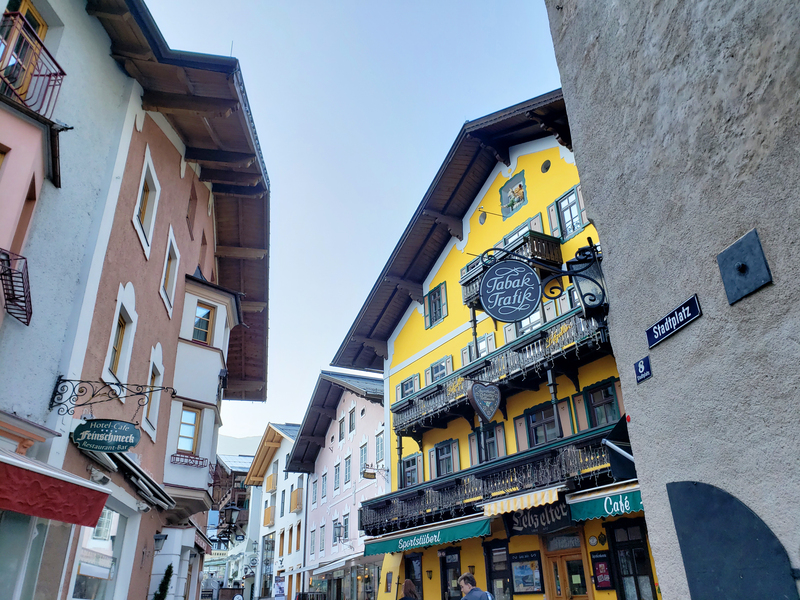 If you visit during the winter months, your day will most likely consist of hitting the hills on a snowboard, skis or snow-shoeing your way through a hike before hitting up the Altstadt to enjoy the many cafés, restaurants and terraces. 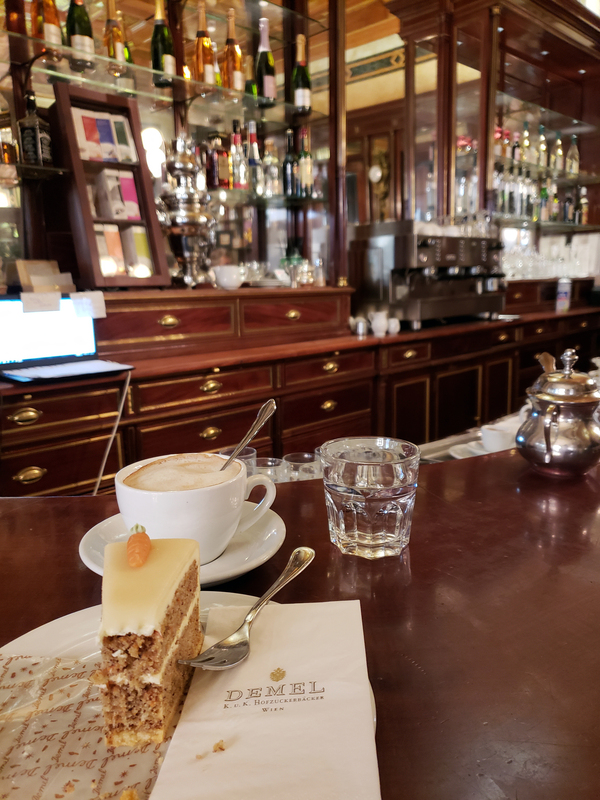 Before heading to the train station, grab a quick breakfast at one of the local cafés before checking out of your hotel. 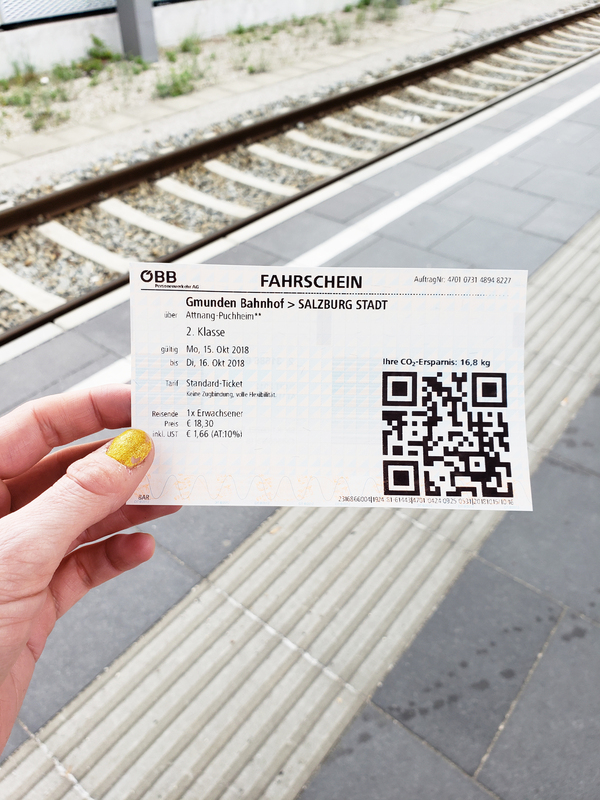 Make your way to the train station and buy your ticket to your next destination, Innsbruck. 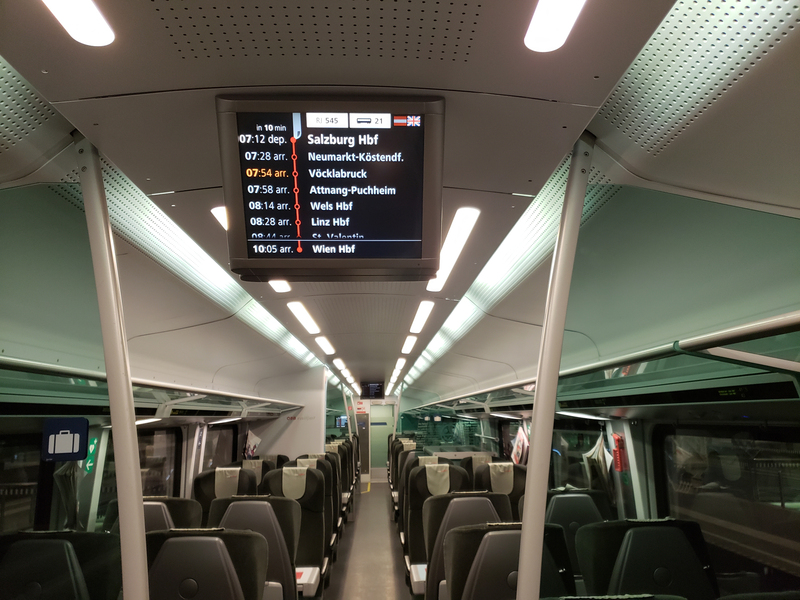 The journey to Innsbruck is full of stunning views and clocking in at just under 2.5 hours, with a transfer at Wörgl station, will roughly cost you about €25,00. 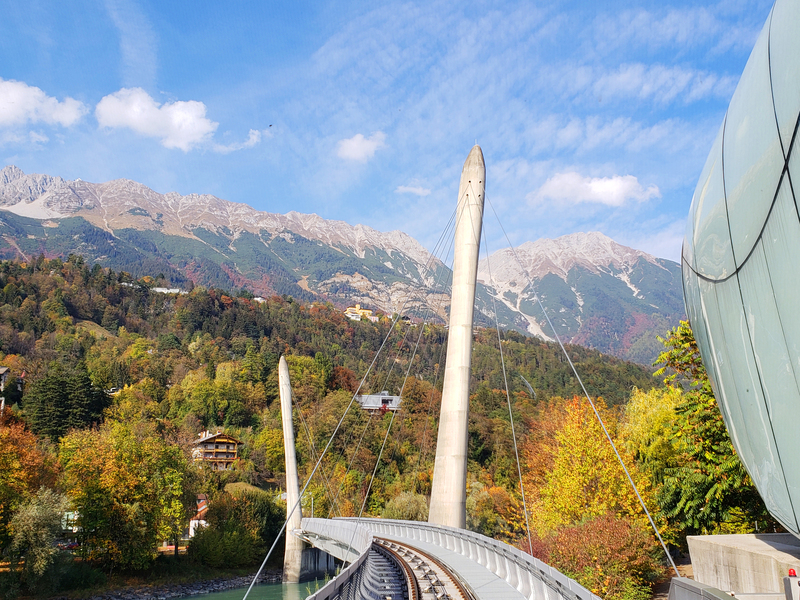 Upon arriving at the Innsbruck Hauptbahnhof, check into your hotel and head directly to the Hungerburg funicular near the Congress Centre and make your way up to the top of the Nordkette Mountain for unobstructed views of Innsbruck and the surrounding Karwendel area. 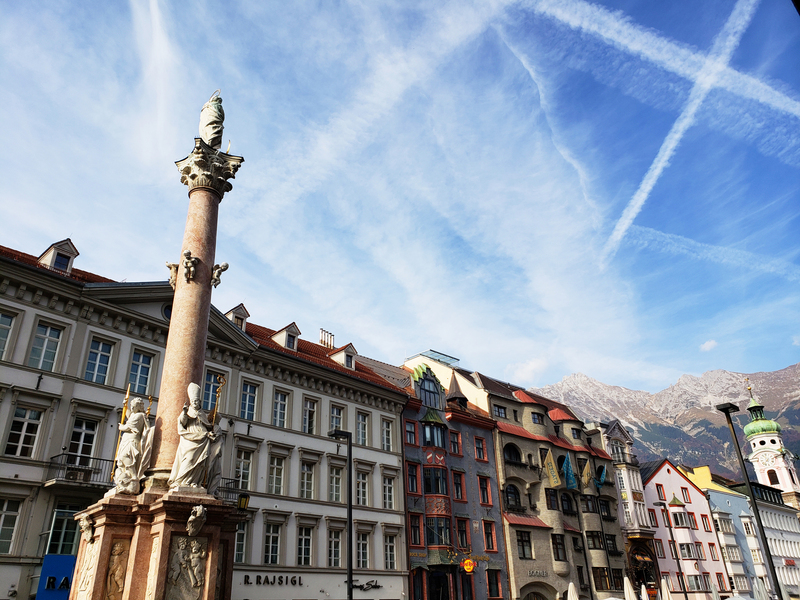 Make your way to the summit cross, Karspitze, so you can brag to everyone back home that you reached the “Top of Innsbruck.” After spending a couple hours on the mountain, head back down to the city centre and explore the Altstadt. Visit the Goldenes Dachl, or The Golden Roof, wander around the Hofburg Palace and the Imperial Apartments, admire the pastel architecture on Maria-Theresien-Straße, make your way up 133 spiral staircase to the viewing platform of Innsbruck’s Stadtturm (City Tower) for incredible views of the Altstadt, Nordkette and colourful buildings that line the River Inn. 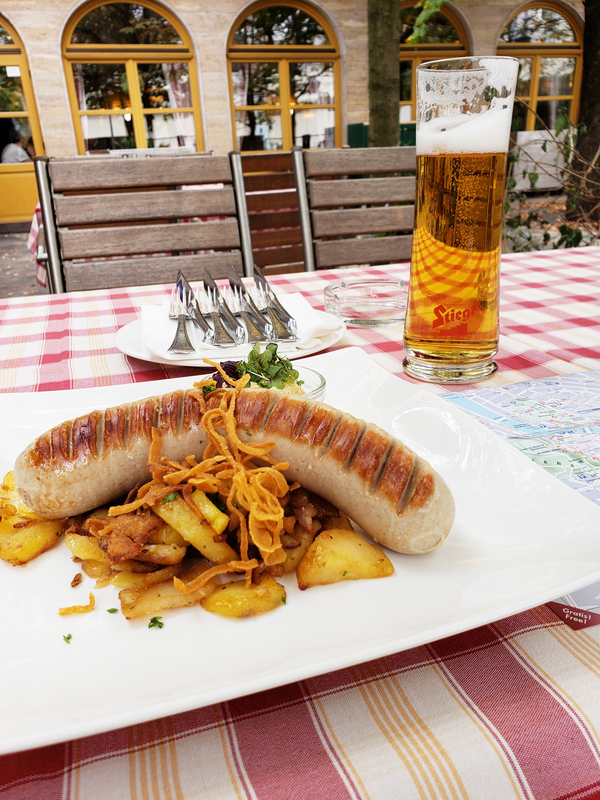 No visit to the Tirol (Tyrol) region is complete without indulging on some hearty Tyrolean food. If you have a sweet tooth (and who doesn’t?) 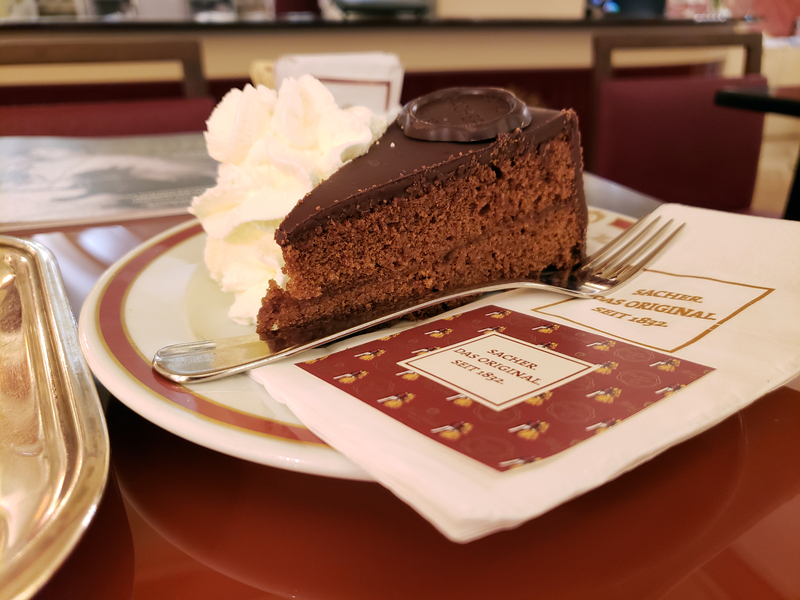 head over to The Café Sacher, which is connected to the Hofburg Palace and treat yourself to the famous Sacher Torte before making your way back to your hotel for the night. 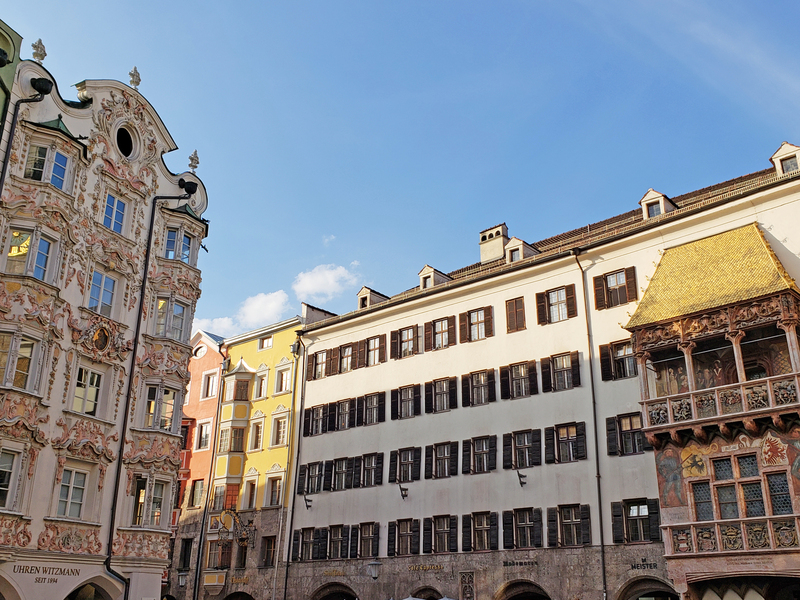 To save some money during your stay, snag a 24 hour Innsbruck Card for the cost of €43,00 and with your visit to the Nordkette, Stadtturm and Hofburg Palace, the card will have paid for itself. I know I said you’d only have one very early morning train to catch during this itinerary, but guess what? I sort of lied. Ok, THIS will be the last before 8am train you’ll need to catch, I promise. 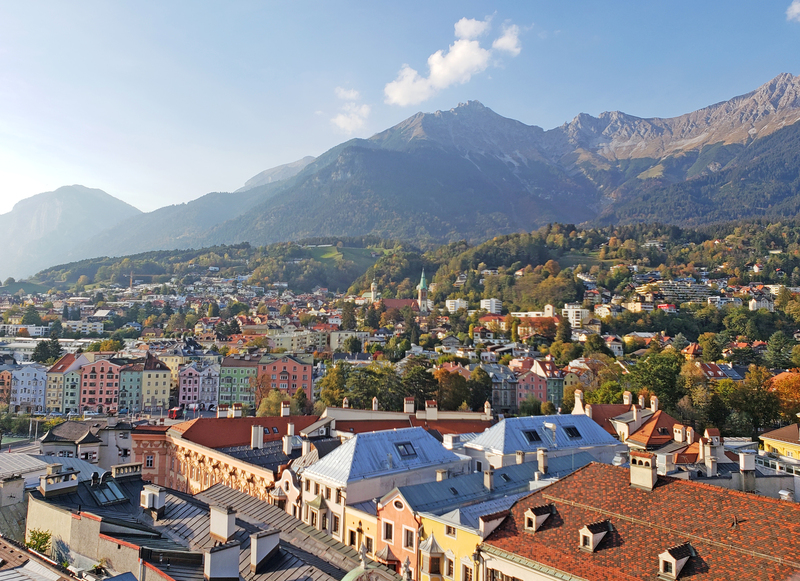 Pack up your bags and check out of your Innsbruck hotel. I pre-checked out and paid the day prior because I knew my hotel reception area wouldn’t be open that early, so plan ahead for that just in case. 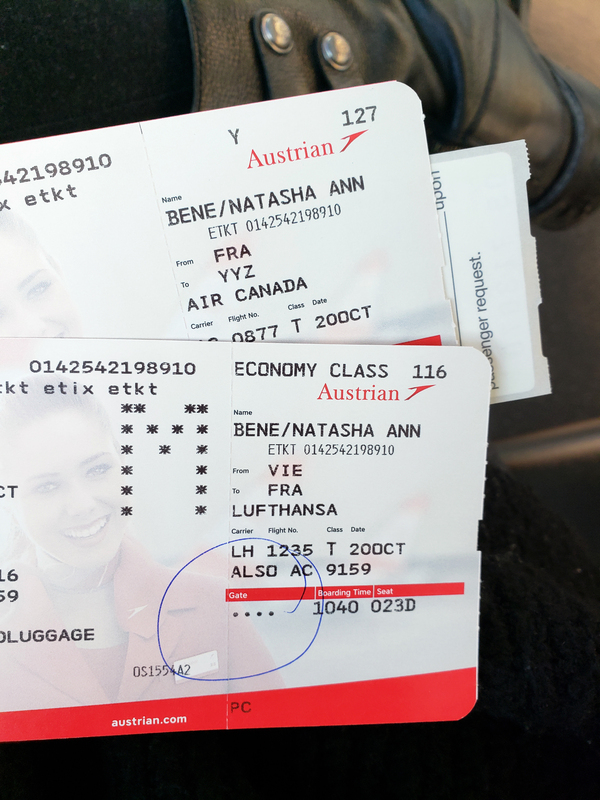 Head to the Innsbruck Hauptbahnhof and purchase your ticket back to Vienna. This will be your most expensive train ride and longest as well. The trip clocks in at approximately 4 hours and 15 minutes with no transfers and will cost about €80,00. Womp womp. 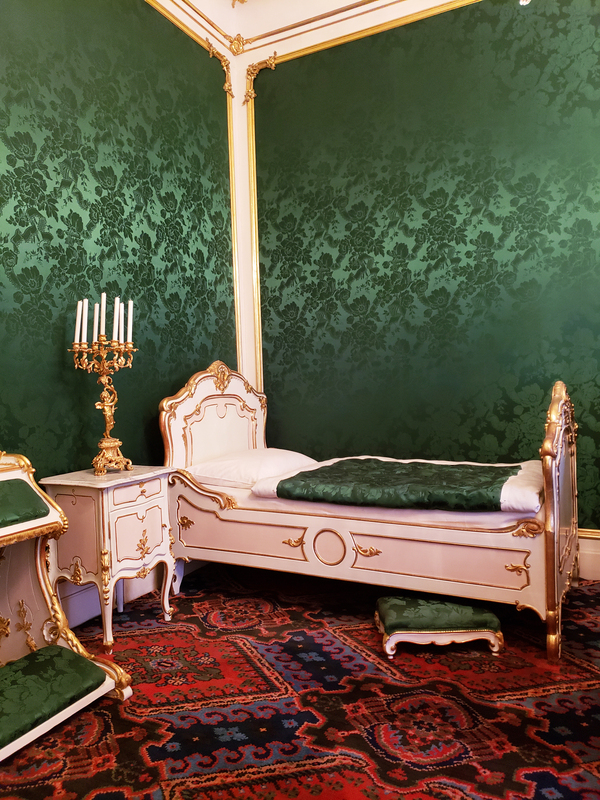 When you arrive back in Vienna, check into your hotel and explore the rest of what you didn’t get to see on your first day of your arrival. 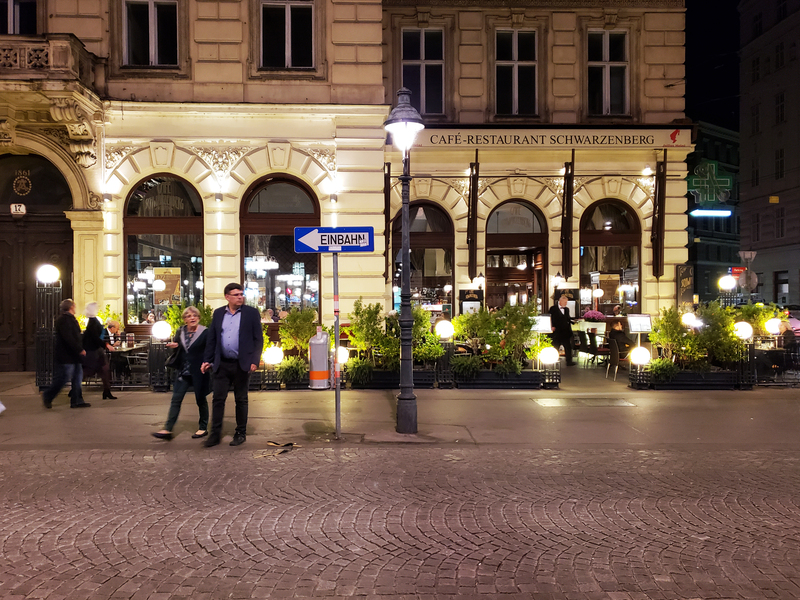 Explore the pedestrian Graben area, visit the nearby Peterskirche and other popular streets such as Stephansplatz, Kohlmarkt, Naglergasse, Tuchlauben and Petersplatz. 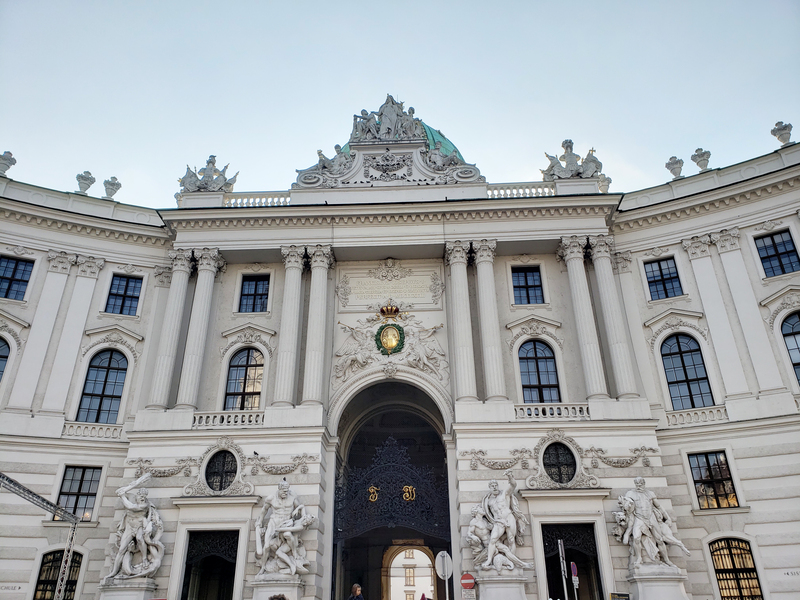 You can also hang out and have a drink, or bite to eat with the locals at Freyung Square, visit the Hofburg Palace Complex, the Spanish Riding School, the Österreichische Nationalbibliothek, The Albertina Museum, Belvedere Palace and wander the grounds of the Neues Rathaus, or New Town Hall. 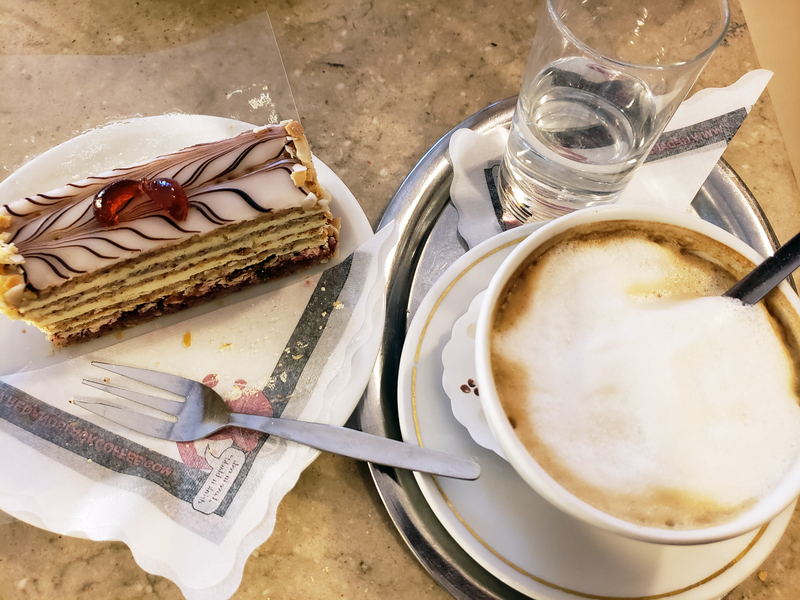 All that walking around will surely make you hungry, so make sure to eat a traditional Viennese meal of some Wiener Schnitzel and then indulge in a sweet treat at one of many famous Viennese coffee houses. 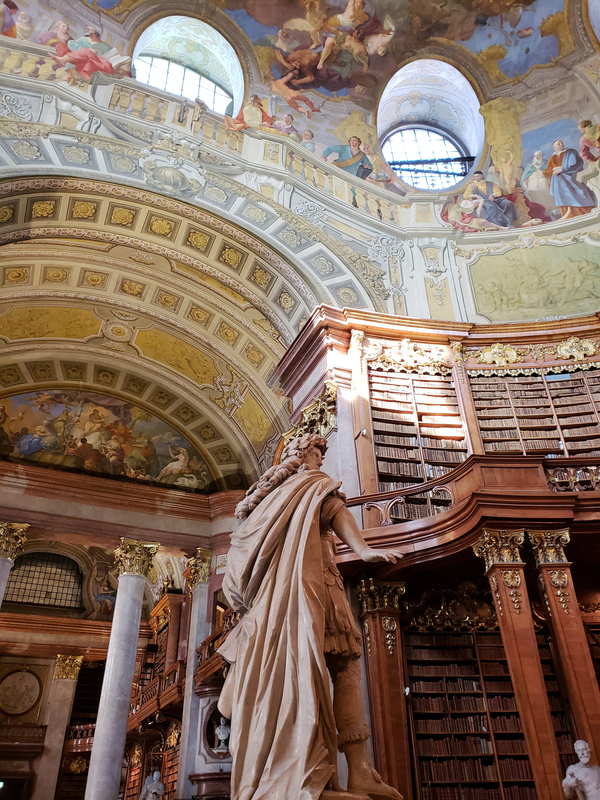 Other sites that are a must, but require an extra day in Vienna would be Schönbrunn Palace, The Natural History Museum (Naturhistorisches Museum), Hundertwasserhaus, The Austrian Parliament Building and the Naschmarkt. Cap of your night of exploration with a visit to your favourite coffee house (or bar) for a little drink before walking back to your hotel. It’s time to go home after a jam packed visit to Austria. 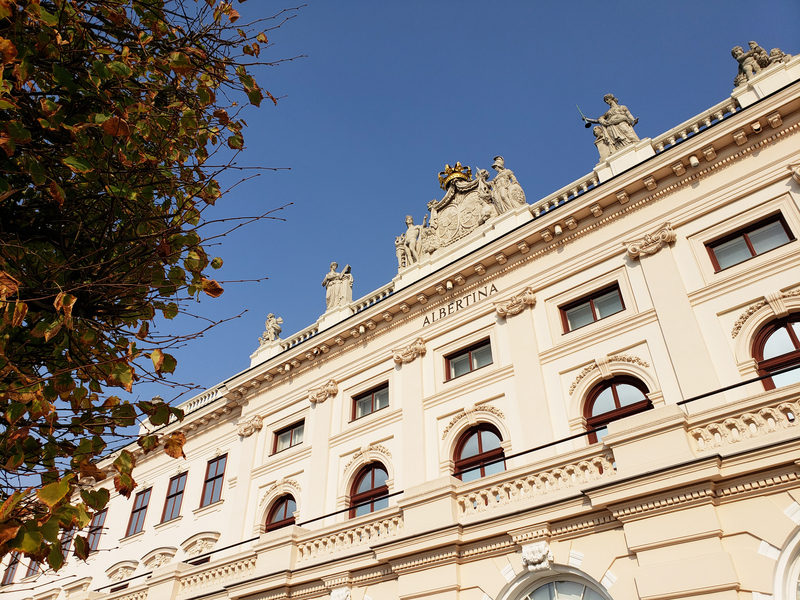 Check out of your Vienna hotel and make your way to the Wien Hauptbahnhof and catch the train to the airport. Remember what I said earlier regarding the CAT train? Take the much cheaper Railjet, which takes about 15 minutes and will only cost you €5,00. 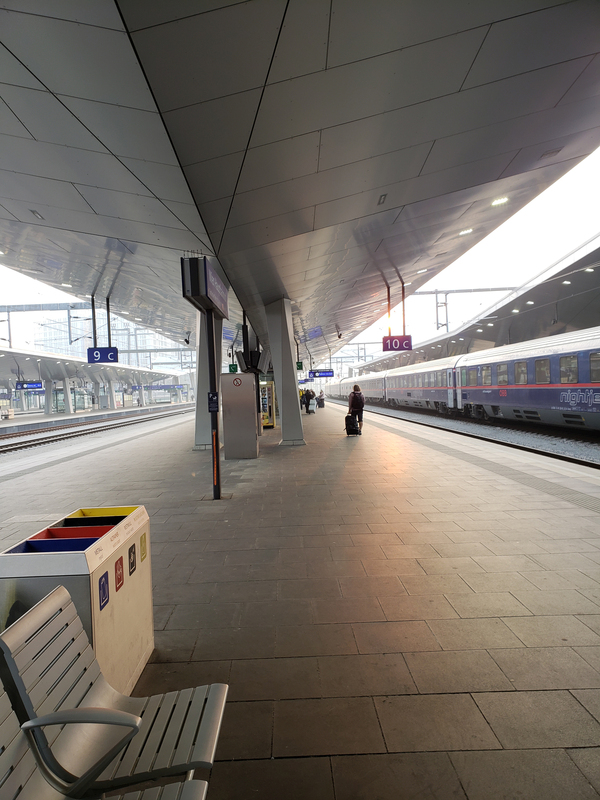 The train will arrive right at the airport and you will need to take the elevator to the correct terminal’s departures area, which is all easily labelled on signs as soon as you step off the train. 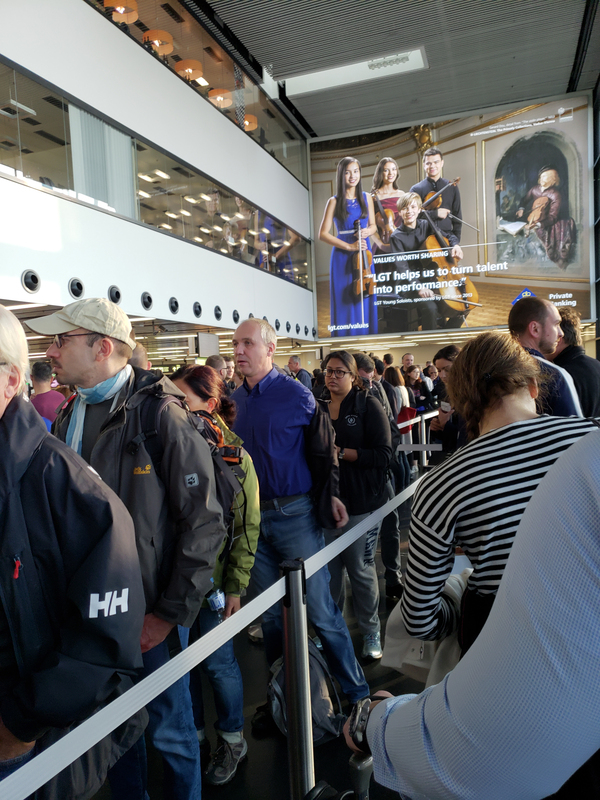 Vienna’s airport can get quite hectic, so always make sure to arrive early to give yourself enough time to go through security and customs. 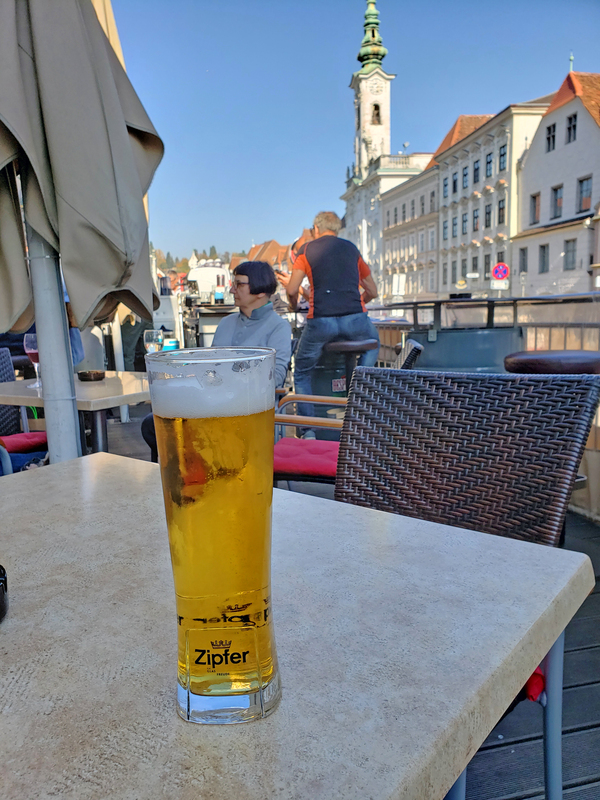 This is just a rough nine day itinerary of how you can plan your visit to Austria, but there are many other cities, villages and sites that you could see that are easily reached by local bus, trains, or even a rental car.